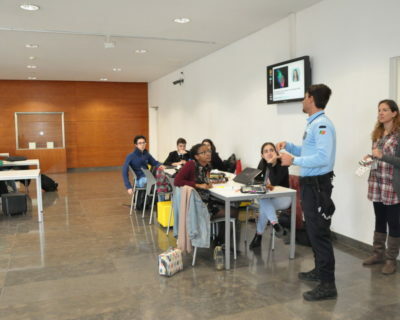 The International Cooperation Centre (NCI) continued to increase its activity in 2018, promoting and monitoring the academic mobility of students. 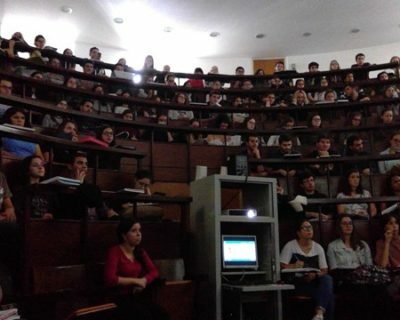 A total of 183 FMUL students pursued their studies (4th and 5th years; n=65) or internships (6th year; n=118) outside the institution (OUT). 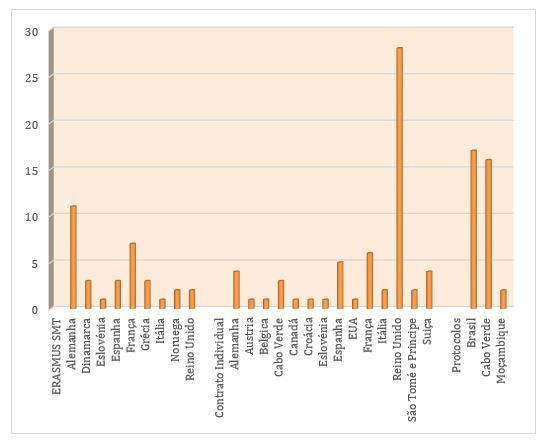 The following charts show the distribution of students by country. 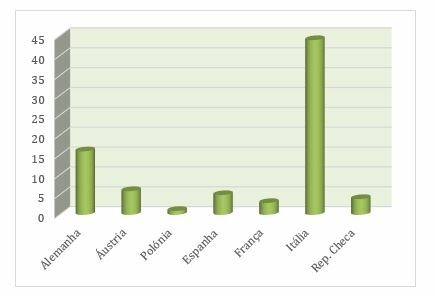 Italy, Spain, Austria and France were the countries preferred for studies. 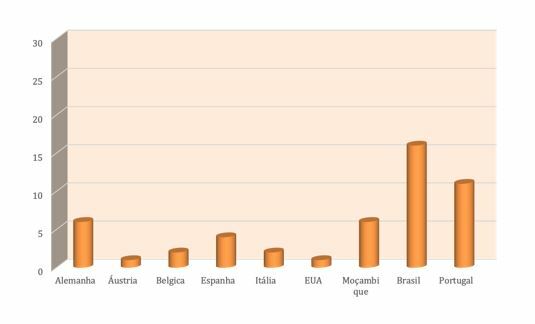 On the other hand, the United Kingdom, Germany, Brazil and Cape Verde were the countries preferred for internships. 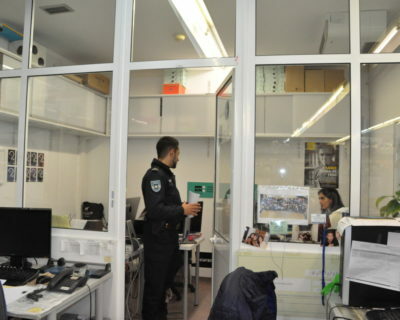 The FMUL continues to be the target of growing demand from students from foreign universities. 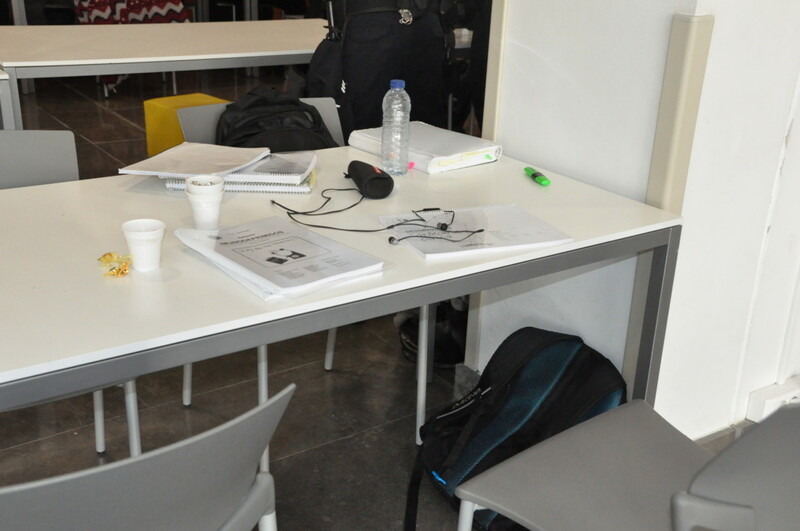 In the 2017/2018 academic year, a total of 128 students pursued their studies (4th and 5th years; n=79) or internships (6th year; n=49) at the FMUL (IN). The following charts show the distribution of students by country. 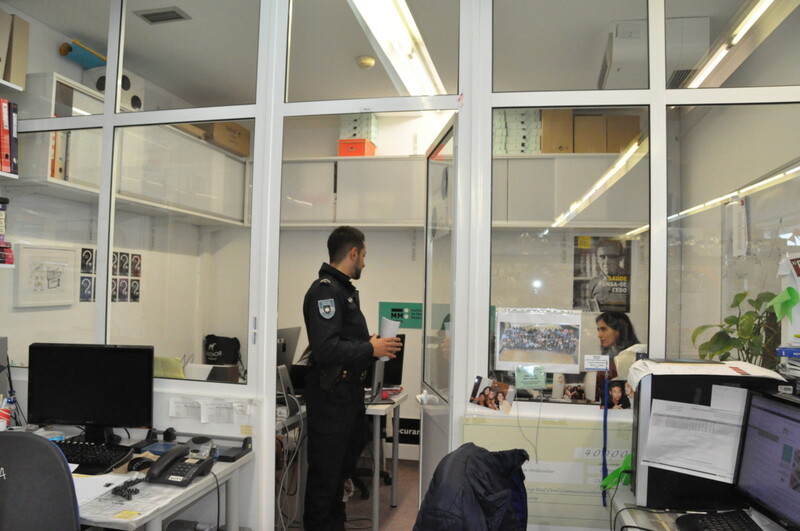 Most of the students who came to pursue their studies came from Italy and Germany. 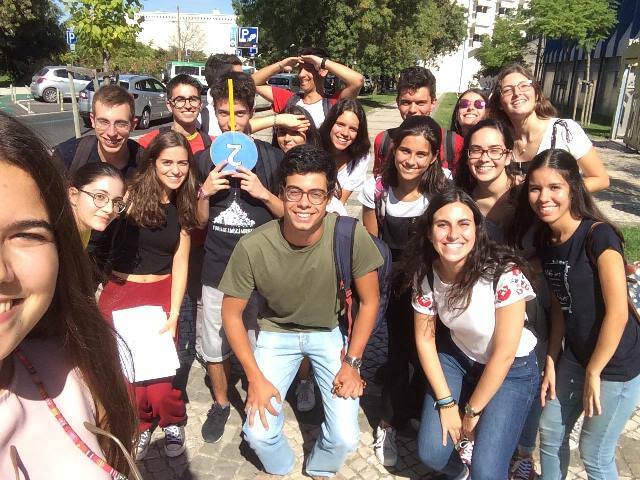 On the other hand, most of the students in internships came from Portuguese-speaking countries. 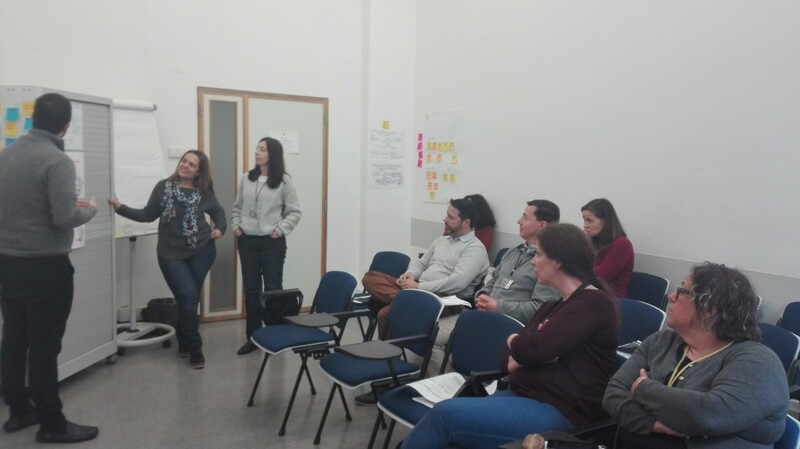 The Innovation and Entrepreneurship Office (GIE) of the Faculty of Medicine of the University of Lisbon carried out, during the month of March, a series of Tools for Innovation in Health” “workshops for FMUL employees. 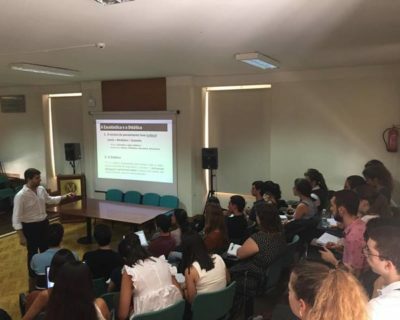 In spite of addressing the same issues as the previous ones, aimed solely at pre- and postgraduate students, these training sessions stood out by their format. 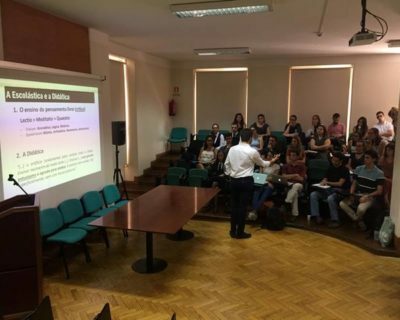 In order to increase their flexibility and make it easier for FMUL employees to attend them, these workshops were held over three weeks, with three-hour sessions twice a week. 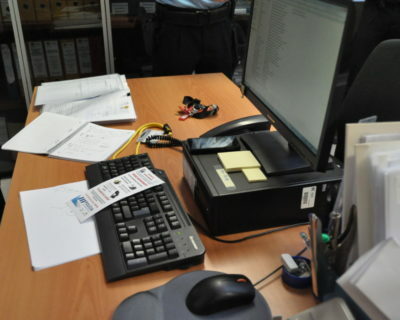 The balance was quite positive, as there was a high demand by employees. 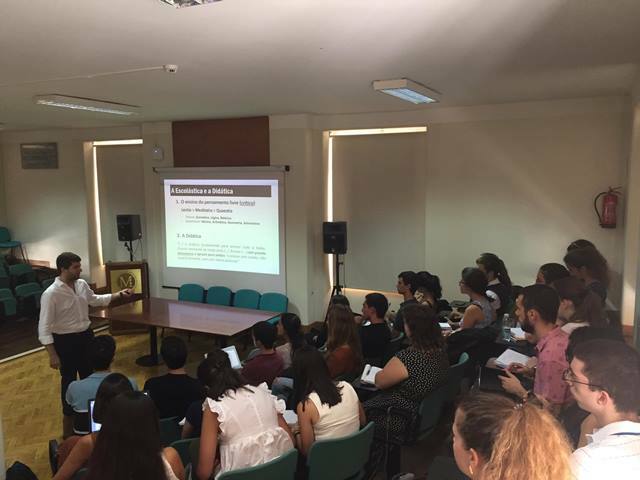 The fact that most of the participants attended all the workshops allowed them to follow a guiding line on the strategy for developing and implementing a project idea in the field of health. 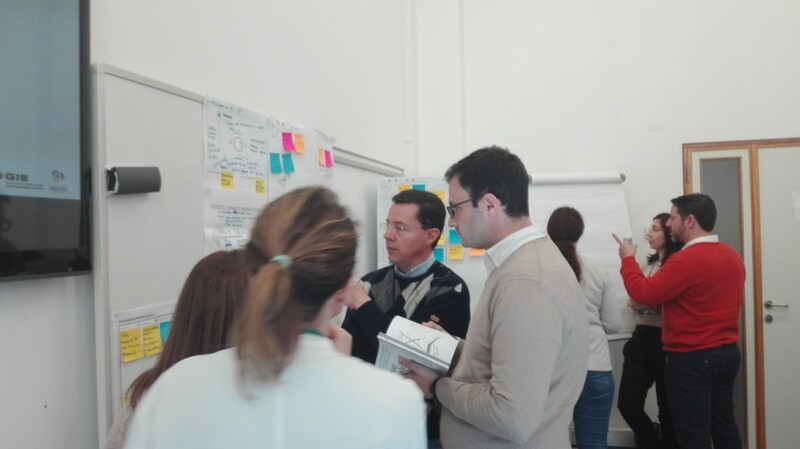 Participants expressed their willingness to repeat the experience in order to mature their project ideas. At the GIE, we would like to thank all employees for their enthusiasm, joy and dedication, as well as for their ideas and suggestions. 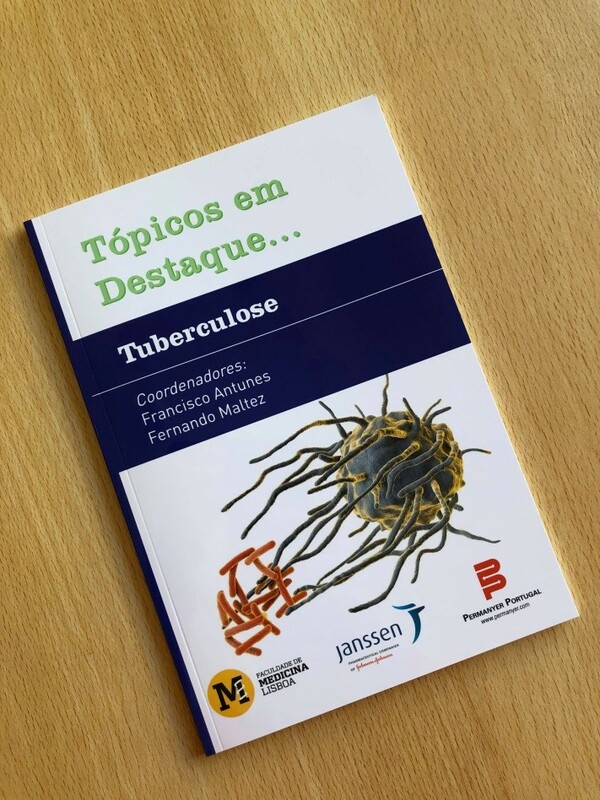 Volume 6 of “Featured Topics…”, this time on Tuberculosis, has just been published. 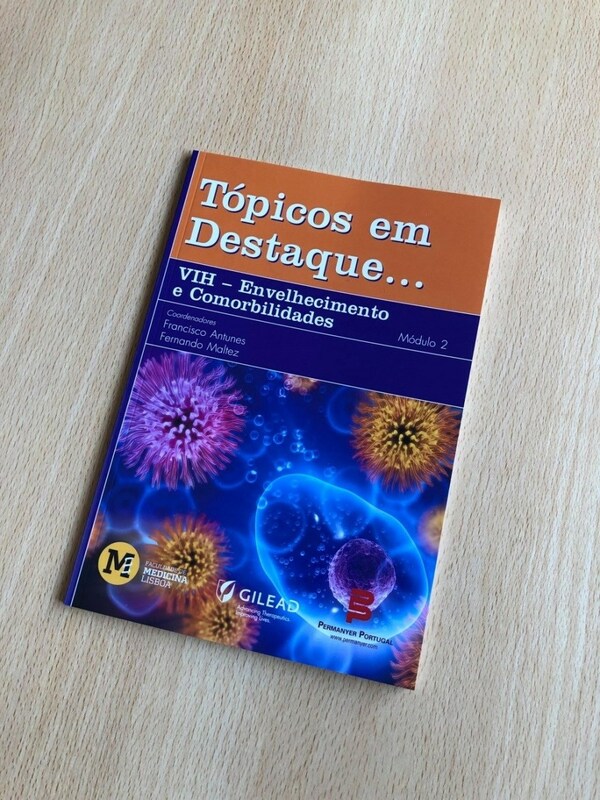 This series of books dedicated to Infectious Diseases is Coordinated by Professors Francisco Antunes and Fernando Maltez, of the Faculty of Medicine of the University of Lisbon, and this volume features authors such as Professor Fernando Maltez, of the Department of Infectious Diseases/Curry Cabral Hospital, Lisboa Central University Hospital Centre, Dr. Ana Maria Correia, from ACES Cávado/Braga (Public Health Unit)/Regional Health Administration of Northern Portugal, Dr. António Domingos, from the Department of Pneumology/Oeste Hospital Centre, Torres Vedras Unit, and Professor Francisco Antunes, from the Institute for Environmental Health/Faculty of Medicine of the University of Lisbon. This and the other 5 books in the series “Featured Topics…” are available at the Central Library. 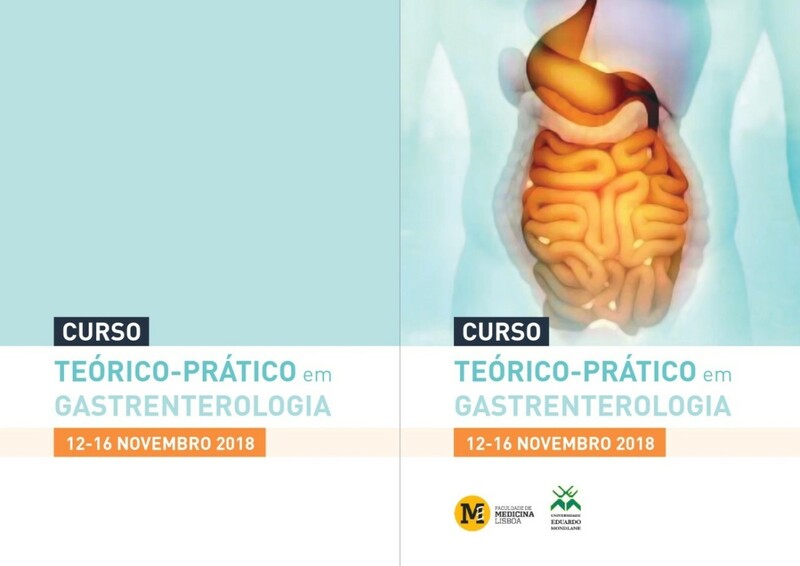 Neste episódio do podcast Quarenta e Cinco Graus, Maria do Carmo Fonseca fala sobre genética e biologia molecular, numa conversa descontraída com José Maria Pimentel. 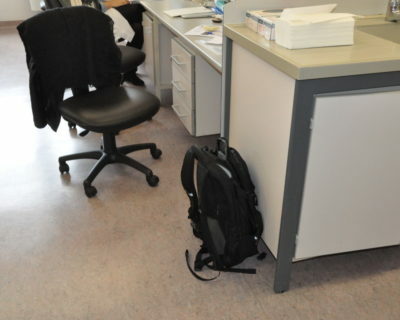 A investigadora é presidente do Instituto de Medicina Molecular e professora catedrática na Faculdade de Medicina da Universidade de Lisboa, onde lidera um laboratório com o seu nome que desenvolve trabalho de investigação na área da genética. Em 2010, viu o seu trabalho reconhecido com a atribuição do Prémio Pessoa. Para ouvir o episódio clique, aqui. 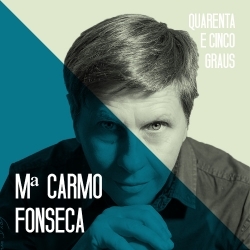 Neste episódio do podcast Quarenta e Cinco Graus, Maria do Carmo Fonseca fala sobre genética e biologia molecular, numa conversa descontraída com José Maria Pimentel. 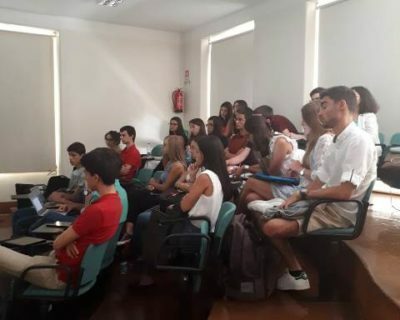 A investigadora é presidente do Instituto de Medicina Molecular e professora catedrática na Faculdade de Medicina da Universidade de Lisboa, onde lidera um laboratório com o seu nome que desenvolve trabalho de investigação na área da genética. 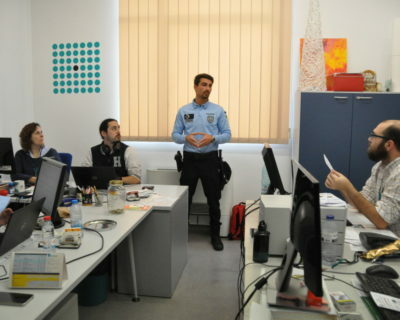 Em 2010, viu o seu trabalho reconhecido com a atribuição do Prémio Pessoa. Para ouvir o episódio clique, aqui. Biobanco asked and we made a difference! 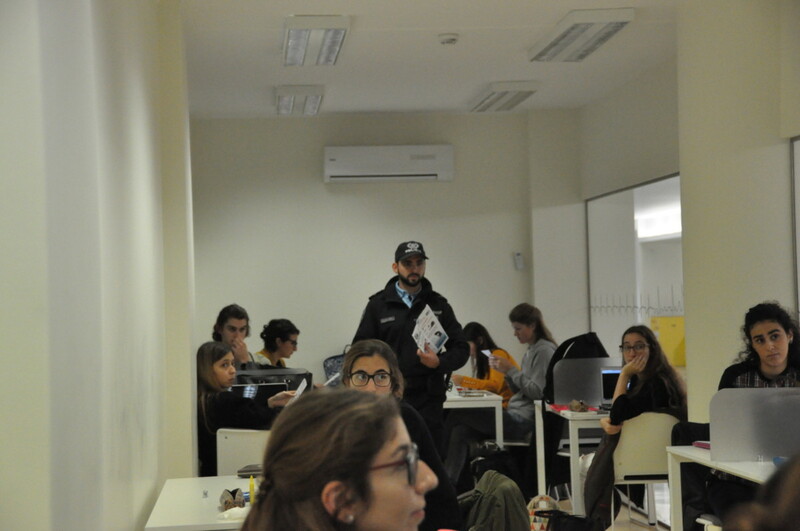 On February 7 we had the opportunity to donate blood and, with a simple gesture, help Science and, perhaps, save a life. 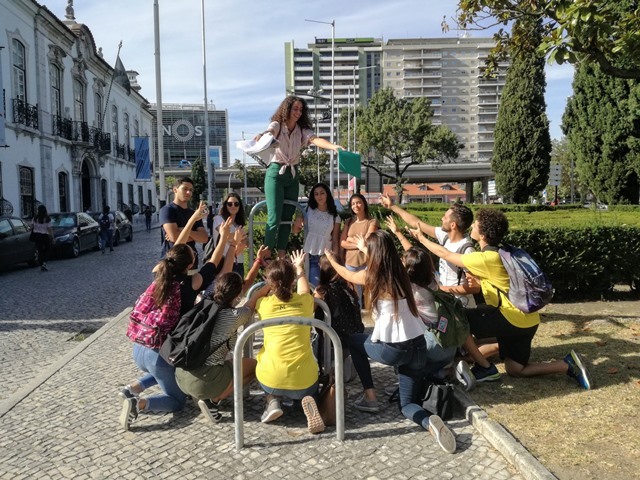 The initiative came from the Biobanco-IMM team, which due to the scarcity of healthy samples from women between the ages of 40 and 60, launched the campaign “Hoje Pode Fazer a Diferença!” for blood collection. 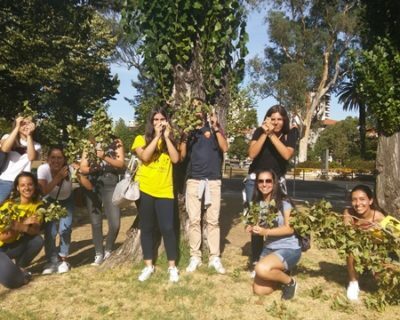 For 3 hours we were able to go to the Cid dos Santos Amphitheatre and give our contribution to Science: two vials of blood, the equivalent to 5 ml, and thus foster research. 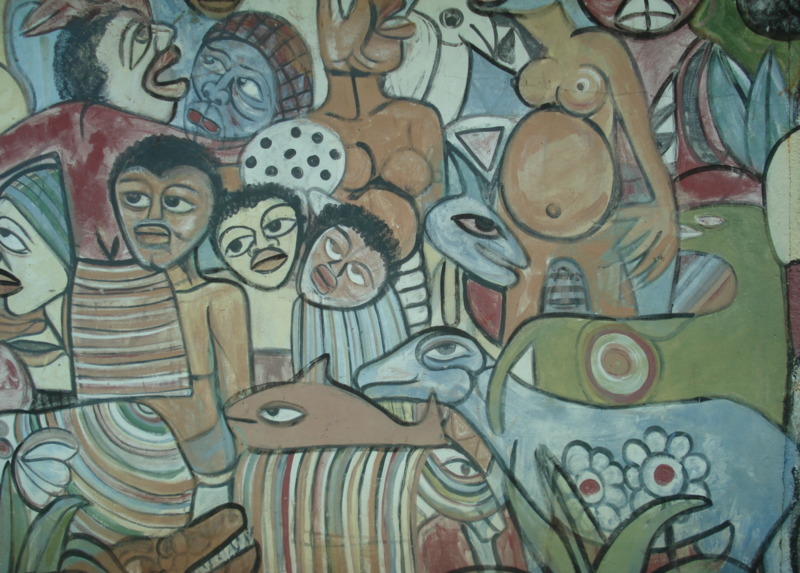 Within the scope of cooperation with the PALOPs (organization of Portuguese-speaking African countries), under the Support Platform for Financing and Developing the Cooperation Project with Portuguese-speaking Africa, which involves the Faculty of Medicine of the University of Lisbon (FMUL)/Association for Research and Development of the Faculty of Medicine (AIDFM), and the Pharmaceutical Industry, the XI Refresher Course in AIDS, Tuberculosis and Hepatitis was held in Maputo, Mozambique, from November 13th to 16th, 2018 (Course Program and figure). 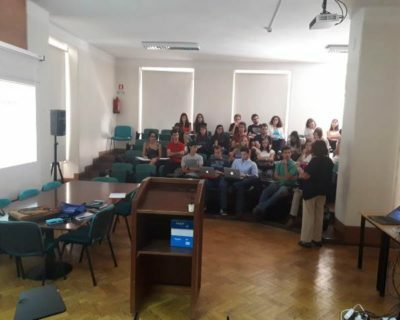 The course was organized by the Faculty of Medicine of the University of Lisbon (FMUL) and the Faculty of Medicine of the Eduardo Mondlane University (FMUEM), under the sponsorship of FMUL’s Scientific Council and the Coordination of Prof. Francisco Antunes (Ph.D) (Institute of Environmental Health/FMUL) and Prof. Mohsin Sidat (Ph.D) (Director of the FMUEM). 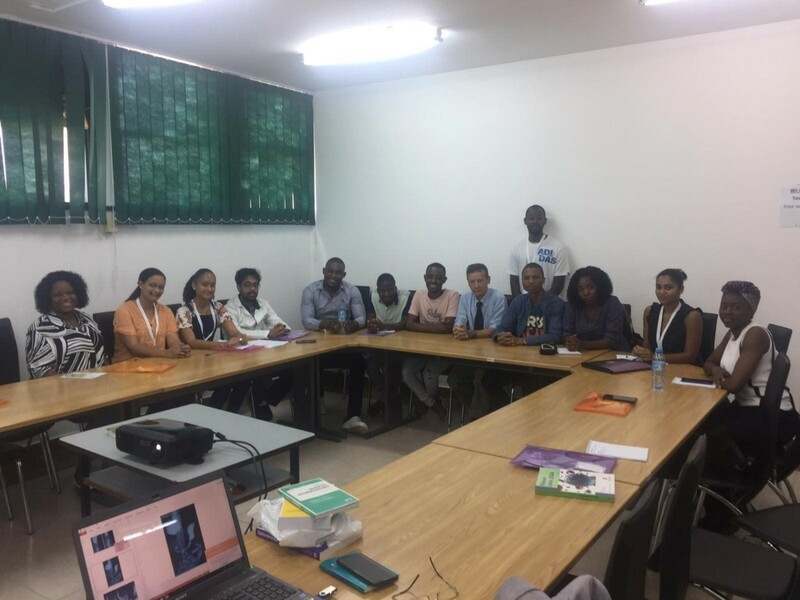 The course was lectured by 16 professors (five from Portugal and 11 from Mozambique) and was attended by 70 students, doctors and medical students from the last clinical year of that Faculty of the Eduardo Mondlane University. 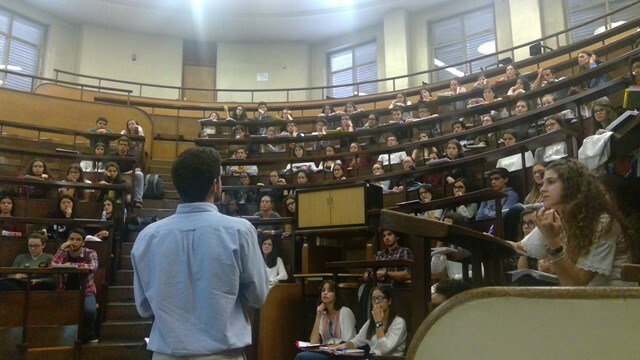 The sessions took place at Aula Magna of the FMUEM. 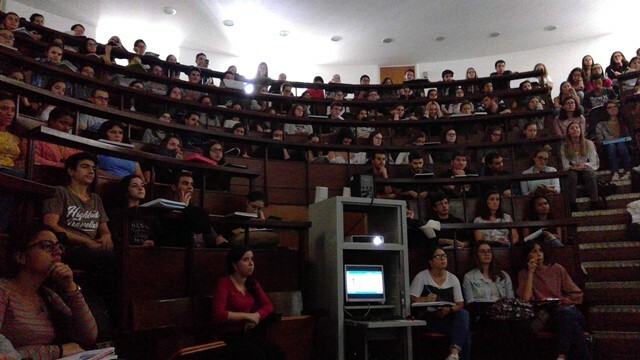 Within the scope of cooperation with the PALOPs (organization of Portuguese-speaking African countries), under the Support Platform for Financing and Developing the Cooperation Project with Portuguese-speaking Africa, which involves the Faculty of Medicine of the University of Lisbon (FMUL)/Association for Research and Development of the Faculty of Medicine (AIDFM), and the Pharmaceutical Industry, the I Practical and Theoretical Course in Gastroenterology was held in Maputo, Mozambique, from November 12th to 16th, 2018, under the Direction of Manuel Martins Alves (M.Sc. 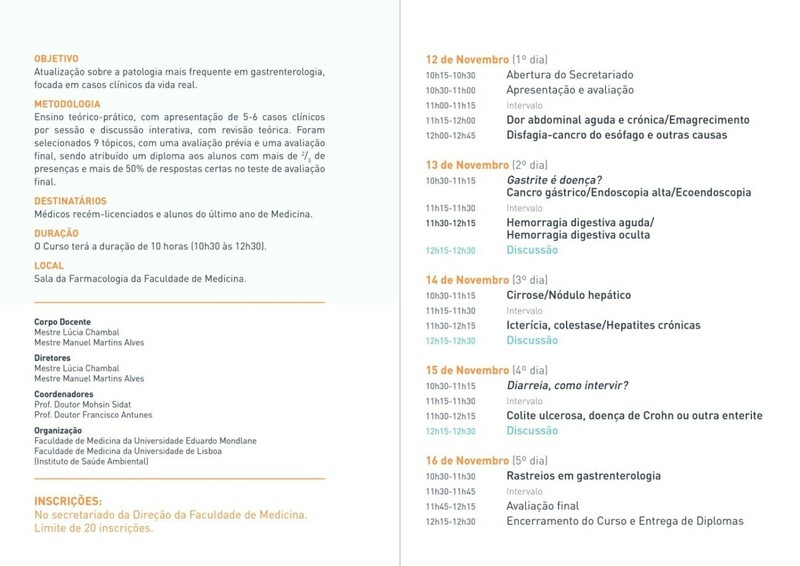 ), from the Faculty of Medicine of the University of Lisbon (FMUL)/Santa Maria Hospital – Lisboa Norte Hospital Center, EPE, and Lúcia Chambal (M.Sc. 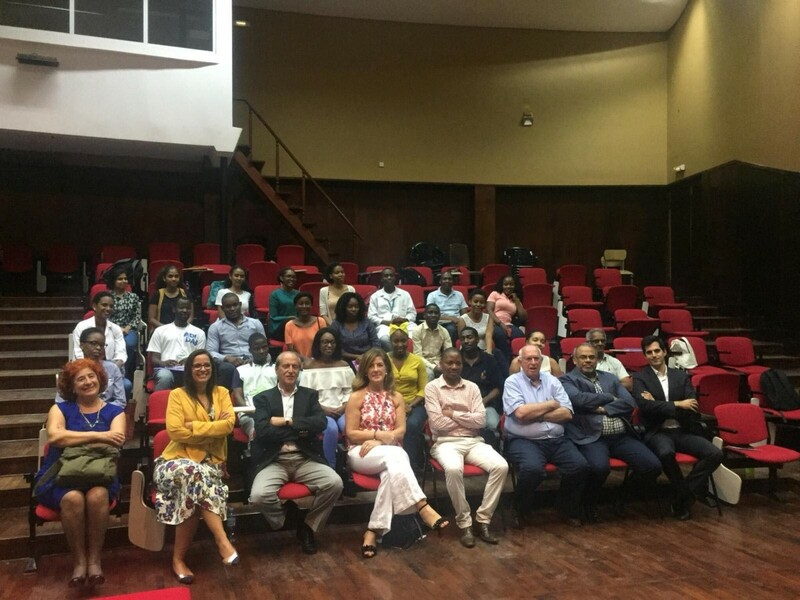 ), from the Faculty of Medicine of the Eduardo Mondlane University (FMUEM)/Maputo Central Hospital (Course Program and Figure). 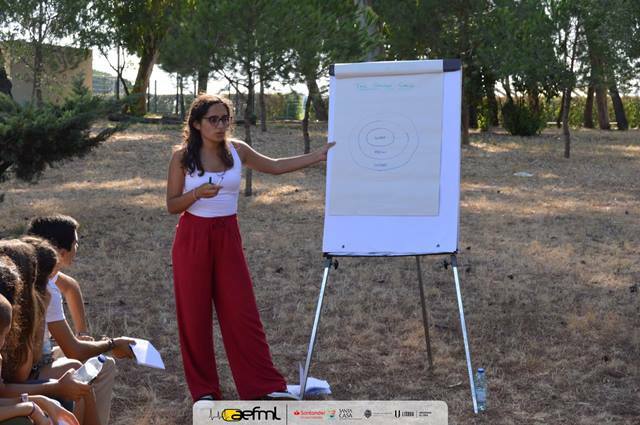 The course was organized by the FMUL, under the sponsorship of FMUL’s Scientific Council and the Coordination of Prof. Francisco Antunes (Ph.D) (Institute of Environmental Health/FMUL) and Prof. Mohsin Sidat (Ph.D) (Director of the FMUEM). 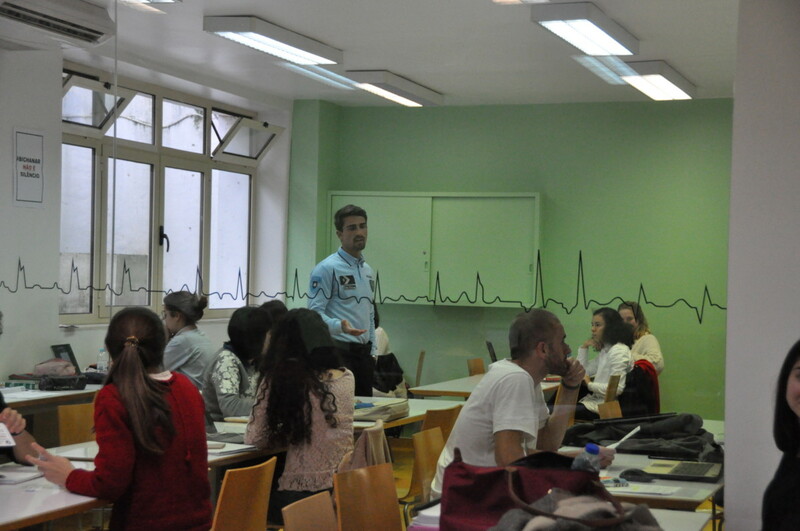 The Course was lectured by Manuel Martins Alves and attended by 25 students, all doctors. 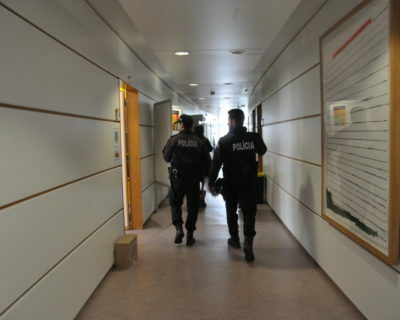 The sessions took place at the FMUEM. Within the scope of the principles of health promotion and health education, schools are regarded as key players. The principles of health-promoting schools are based on the Ottawa Charter (WHO, 1986) and the Convention on the Rights of the Child (1989). Therefore, schools play a key role in the development of behaviours that promote a healthy lifestyle, which include nutrition and physical activity. The school is where children spend most of their day and where they eat at least three meals every day. Childhood is when we can achieve better results with regard to the development of knowledge, attitudes and behaviours that prevail in adult life. 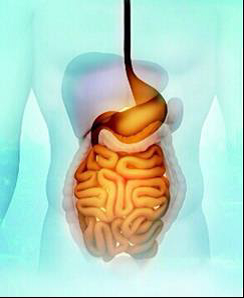 Scientific evidence shows us the need to intervene in order to change eating habits and recommends a multidisciplinary approach with a view to obtaining better results. Thus, getting all the stakeholders involved is more effective when it comes to achieving health promotion goals. 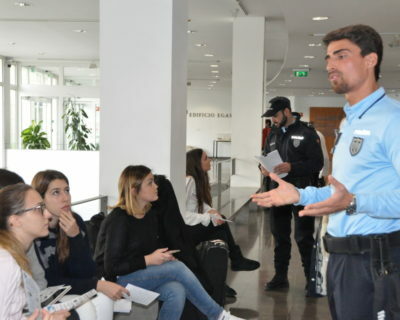 Therefore, in an educational context, the action group should be composed of representatives of schools, teachers, non-teaching staff, parents, children and health professionals. In addition to these elements, the intervention should be multicentric, acting in different domains in an integrative way: academic curriculum, educational environment, school feeding, the school community, and the health services. However, depending on the specific context and reality, the interests and concerns of the community in question should be defined. With regard to the educational curriculum, food education is a crucial element in the development of healthy lifestyles in children, and it is important that the school’s messages are consistent, mutually reinforcing, and reflected throughout the entire curriculum – “formal, non-formal and hidden”. However, teaching these subjects requires suitably qualified professionals and appropriate resources. 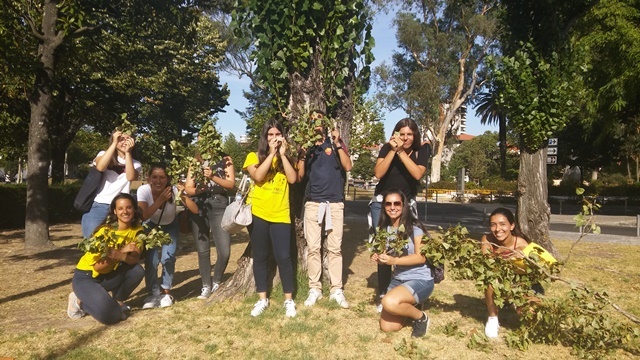 Within the scope of food skills, the educational curriculum should cover several categories: nutrition and health; food preparation, preservation, and storage; consumer awareness, consumer rights, and media literacy; food production, processing, and distribution; sustainability and food ecology. By being taught these subjects, children become more aware of the importance of following a healthy diet, they learn how to prepare food economically and ecologically, develop preparation and cooking skills and become empowered to make more informed choices about the food they should eat, by understanding food labels, the nutritional value of food, as well as their own daily needs. 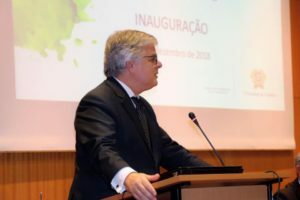 The current relevance of this area and the legal responsibilities of the local authorities within the scope of the promotion of health gave rise to the Sintra Cresce Saudável Project (SCS) | Promotion of Healthy Lifestyles in an Educational Context, promoted by the Sintra City Council, in synergy with the academic community. 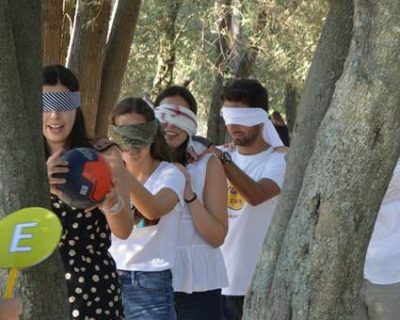 This is an intervention project to promote healthy lifestyles, aimed at children from the 1st cycle of basic education, supported by a community-based participatory research methodology, which integrates evaluation-planning-intervention cycles. 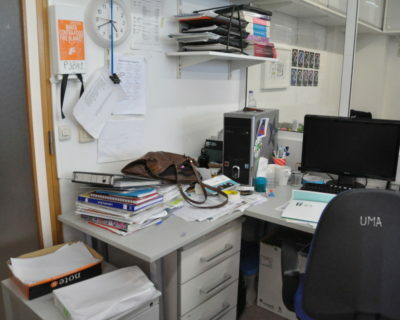 This project relies on the collaboration of academic partners in different areas of knowledge (Health and nutrition, physical activity, communication), and the Faculty of Medicine of the University of Lisbon (FMUL) takes the technical-scientific leadership of the project, ensured by a researcher in charge of that responsibility – Dr. Telma Nogueira. We should also note that there is an Advisory Board consisting of national reference entities in the main areas of activity of the project. 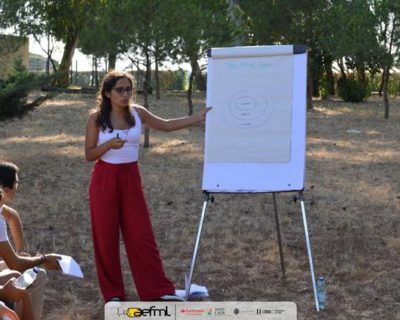 The major objectives of the project are developing an intervention model to promote healthy lifestyles in educational contexts, evaluating the impact of the intervention and fostering the definition and dissemination of the intervention model. 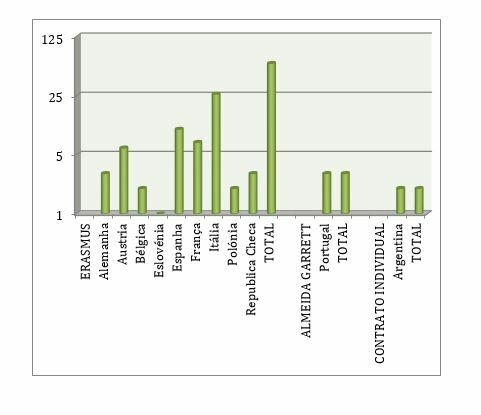 The interaction between these axes and the participatory intervention promote an innovative approach, fostering the development of the dimensions of empowerment for health promotion (behaviours that promote healthy eating and physical activity) and the development of competences such as self-regulation, problem solving, communication, and creative and critical thinking, foreseen in the Profile of the Students who are leaving compulsory education. 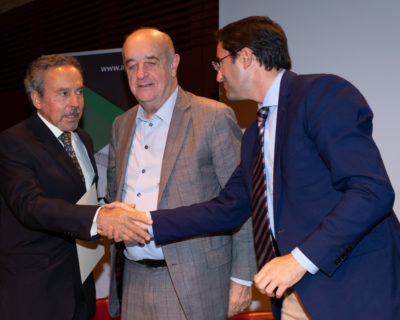 This project, in addition to its innovative nature, is scientifically robust and may have the ability to change behaviours, aiming at short- and long-term health gains, based on the school-family-local authorities triad, fostered by the academic community. 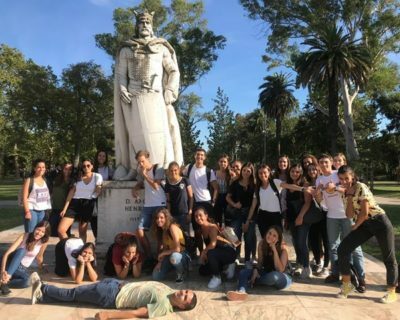 The pilot project was implemented in the 2017/2018 school year in a school group where about 500 children were involved in the intervention group. 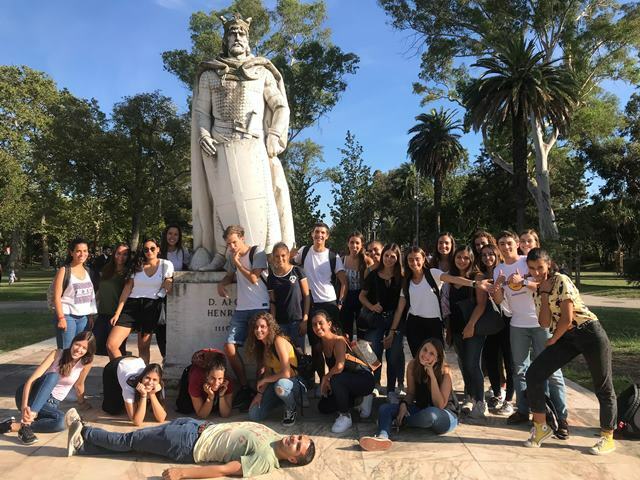 A control group with a similar number of children (from another school group in the municipality) was created for evaluation purposes. 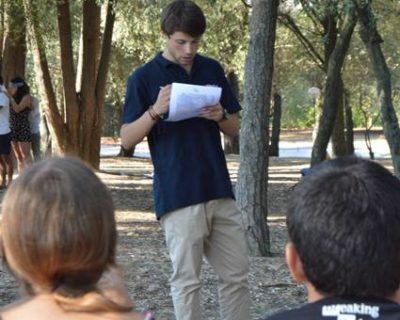 Several activities were developed over the last year: diagnosis of needs; involvement of the school community; creation of a network of partnerships; planning of the intervention with the school community; engagement of all the players, making them responsible for the implementation and evaluation of the project. The activities are currently being disseminated in 2 other school groups (nearly 1300 children). 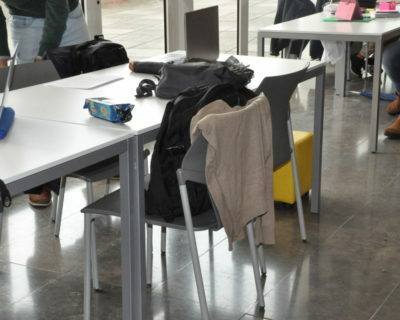 In the context of the axis of intervention in the school food environment, the instruments and methodology for evaluating snacks consumed in educational contexts were developed and are currently being analysed and qualitatively and quantitatively evaluated. The school’s food policy is defined and implemented according to the results obtained. 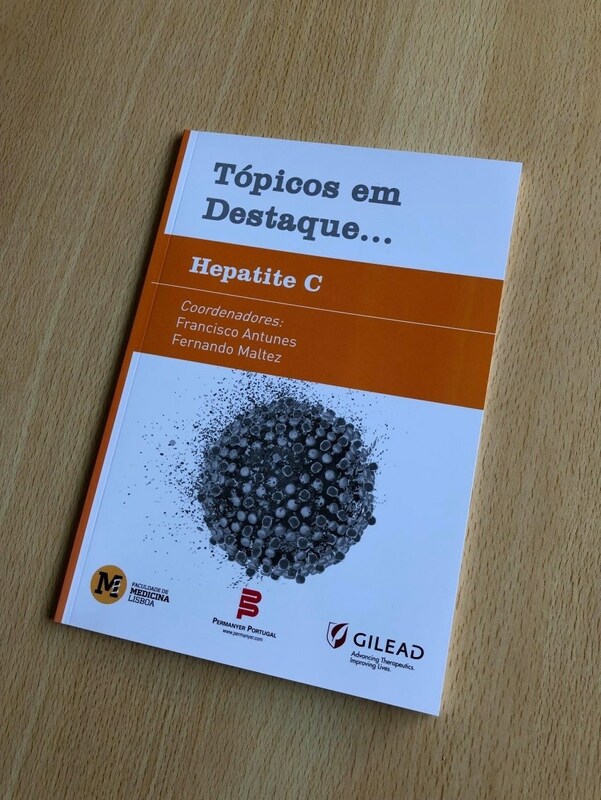 Another book in the series “Featured Topics” was published, this time focusing on hepatitis C – “Featured Topics…Hepatitis C,” coordinated by Francisco Antunes and Fernando Maltez from the Faculty of Medicine of the University of Lisbon. The chapters “Epidemiology of Hepatitis C,” “Screening and Diagnosing Hepatitis C,” “Treating and Monitoring Hepatitis C,” and “Advances and Limitations in the Treatment of Hepatitis C” were written by Alexandra Martins, from the Gastroenterology Department of Prof. Dr. Fernando da Fonseca Hospital, EPE; Fernando Maltez, from the Infectious Disease Department of Curry Cabral Hospital – Lisboa Central University Hospital Centre and Faculty of Medicine of the University of Lisbon; Francisco Antunes, from the Institute for Environmental Health of the Faculty of Medicine of the University of Lisbon; Iala Pereira Costa and Joyce Chivia, from the Sagrada Esperança Clinic – Luanda, Angola, and Paula Peixe, from the Gastroenterology Department – Lisboa Ocidental Hospital Centre, EPE e NOVA Medical School Lisbon. 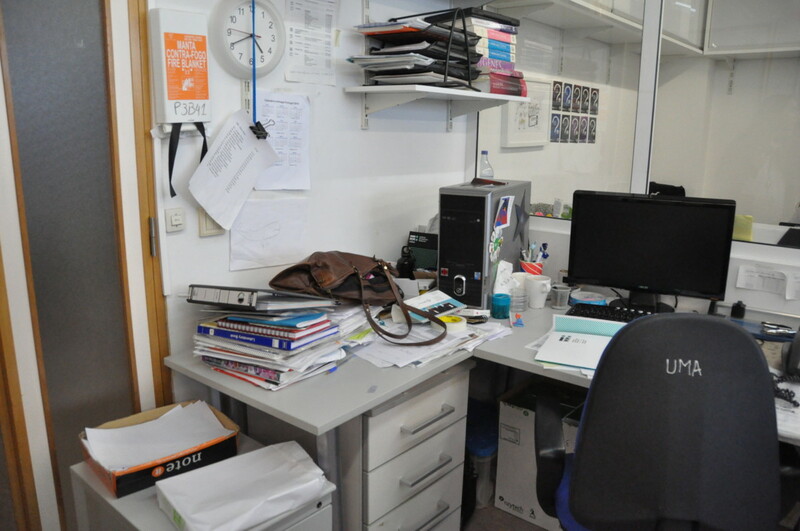 This book is available at the Central Library of the Faculty of Medicine. 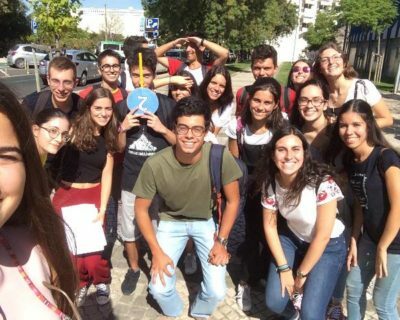 4ª Reunião Anual do SynaNet, realizada em Lisboa, de 12 a 13 de dezembro de 2018, com mais de 100 participantes. 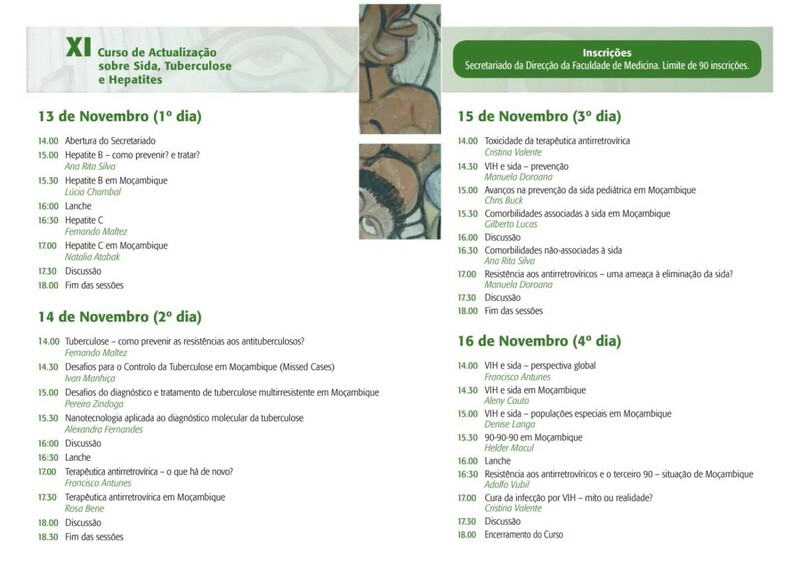 O evento incluiu apresentações orais e de posters, bem como um evento social com uma visita guiada por Lisboa. 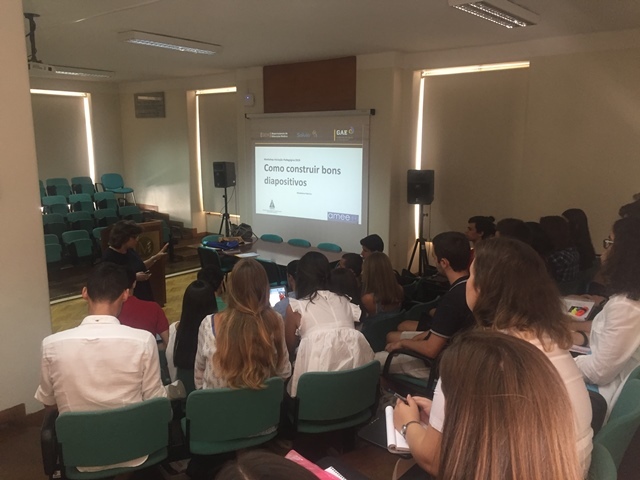 O 4º Encontro Anual do Projecto Twinning H2020 “Neurologic and Psychiatric Disorders: from synapses to networks”, coordenado pela Professora Ana Sebastião, ocorreu nos passados dias 12 e 13 de dezembro, com um evento satélite a 11 de dezembro, no Edifício Egas Moniz da Faculdade de Medicina da Universidade de Lisboa. 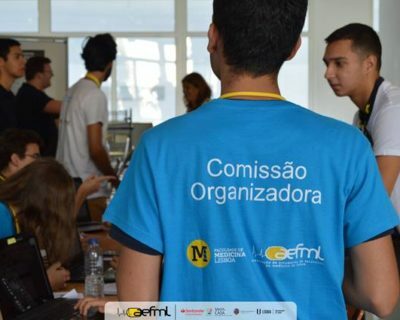 Esta reunião científica contou com mais de 100 participantes e incluiu 4 apresentações de oradores internacionais, 8 apresentações de participantes de acções de mobilidade do projecto, 15 apresentações orais de alunos dos vários parceiros e 38 apresentações na forma de poster. 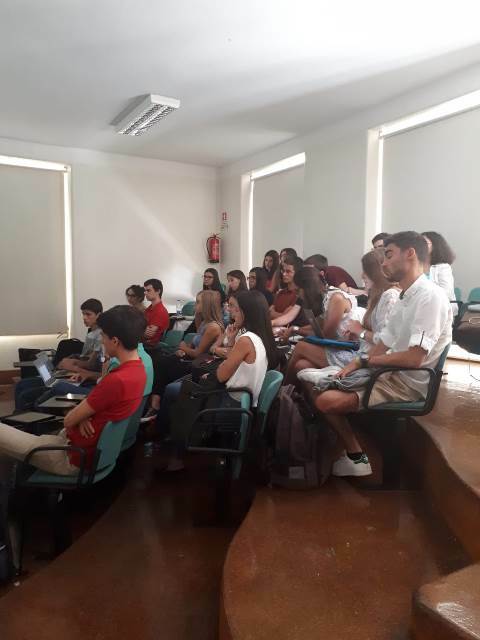 O projecto envolve 4 instituições: Instituto de Medicina Molecular João Lobo Antunes (iMM), Portugal; Itä-Suomen yliopisto, Finland; Università degli Studi di Roma La Sapienza, Italy and Lancaster University, United Kingdom. This month, the Pulido Valente Hospital opened the first unit in the country dedicated to heart failure in the palliative care area. 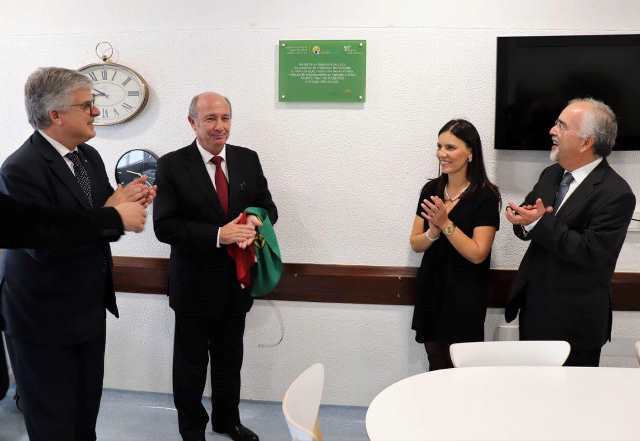 With the High Sponsorship of the Presidency of the Portuguese Republic, the Unit “Mais Sentido” will take care of heart failure at advanced stages, thus following and monitoring patients at home, covering a significant number of patients and also supporting their families. 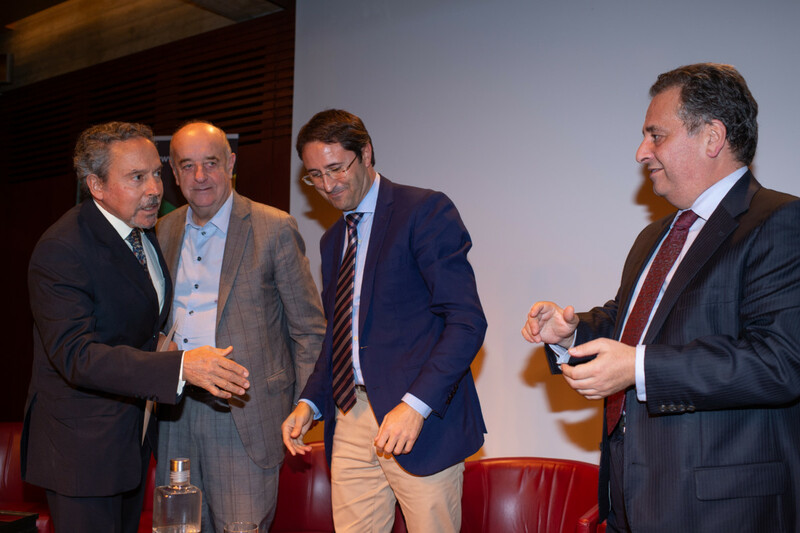 The inauguration was headed by the Carlos Neves Martins, Chairman of the Board of Directors of Lisboa Norte Hospital, with the special presence of the Fausto J. Pinto Chief of the CHLN Cardiology Service and Dean of the Faculty of Medicine. 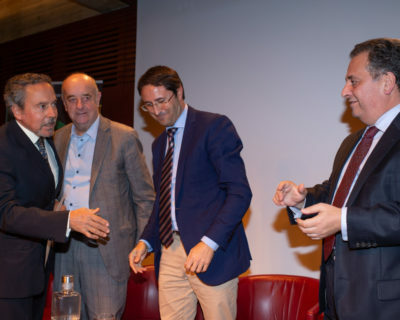 “Nowadays, we are capable of treating several cardiac conditions in a very effective way, but the natural history of the disease is constantly increasing the number of patients and they need very significant care, he stated Fausto J. Pinto. 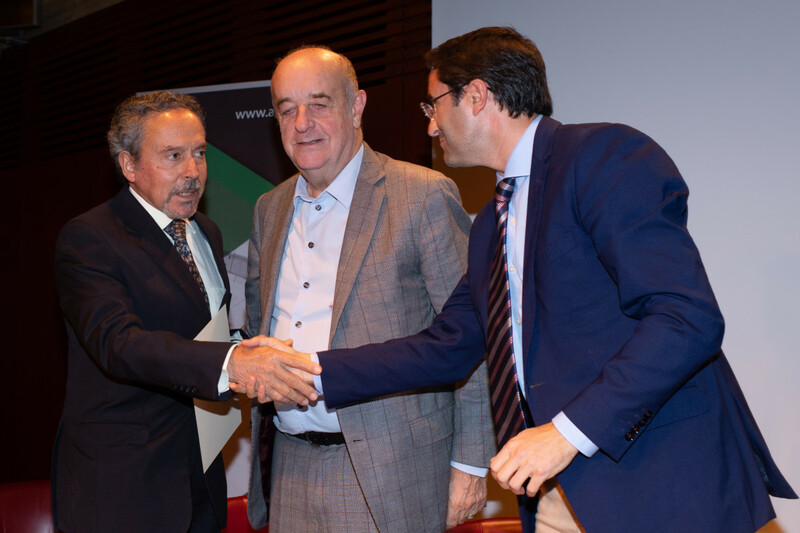 Carlos Neves Martins he took the chance to compliment the effort of “strategic reprogramming and the growth of the activity of the Department in the Pulido Valente Hospital, in impeccable coordination with the Board of Directors”. A Hospital that underwent several transformations since 2014 and having in mind gradual rehabilitation, the Chairman of the CHLN highlighted the area under the direct tutelage of his Administration. 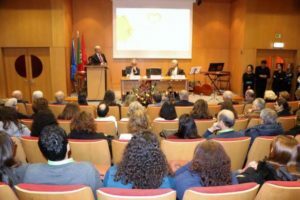 “ We were pleased to have noticed that the public service to the citizen in this Hospital Pulido Valente has increased from a 16to 19 specialisations in the external consulting (+19%), from 5 to 9 specialisations in the operating room (+80%) and from 4 to 6 specialisations in day hospital services (+50%), and we also have 2 new services in the campus, 1 the new centre of reference in the pulmonary rehabilitation, 1 new area for cardiac rehabilitation, 1 new area for pulmonary rehabilitation and now the pioneer Unit “Mais Sentido”. 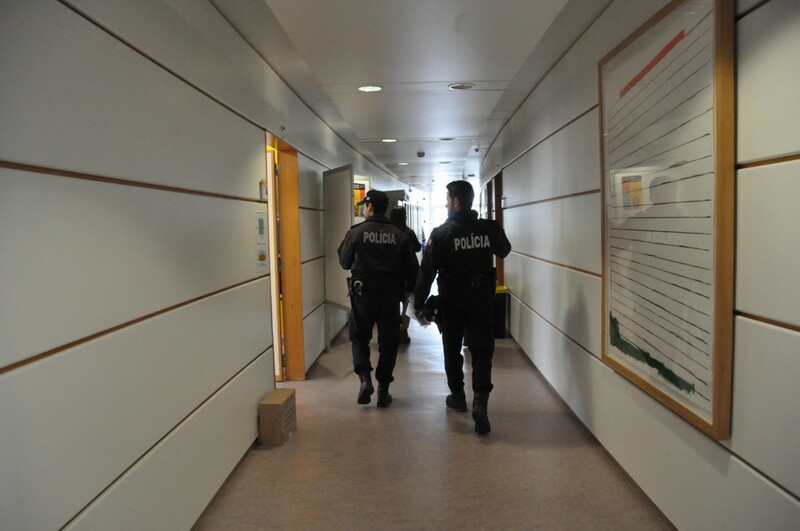 The Faculty of Medicine acknowledges that the safety of people and goods is becoming increasingly important and that it contributes to institutional well-being. 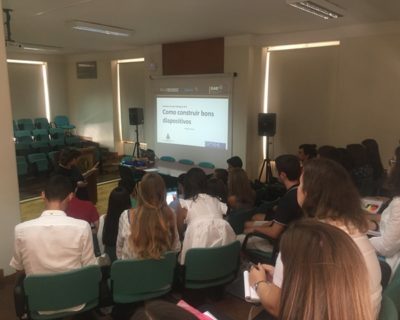 So, on November 22, there was an Awareness-Raising Session at the FMUL Facilities; it was organized in collaboration with the Campo Grande Police Station, and focused on individual and collective safety. 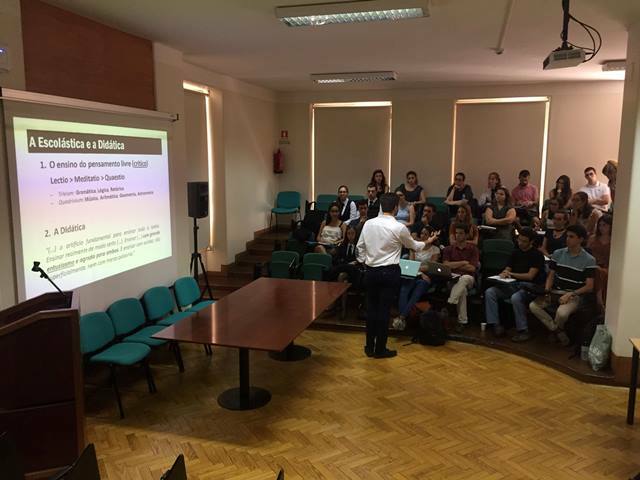 We are currently witnessing a paradigm shift in medical education. New methods, new dynamics and new learning techniques have been gaining momentum in the area of pedagogy, and are quite clear in the neologisms we’ve been borrowing from the English language: feedback, student centred-learning, assessment… and peer-teaching. 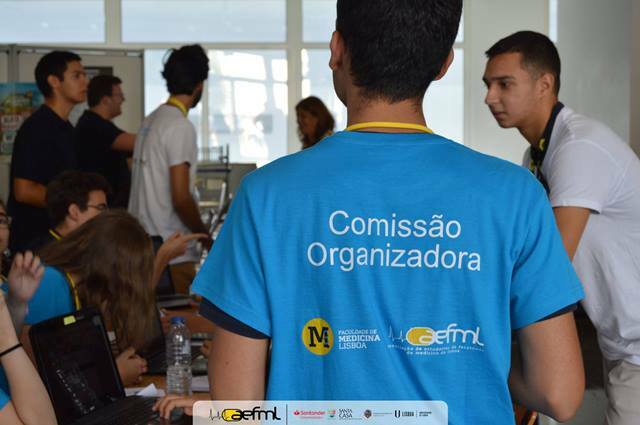 The latter is particularly important for the Faculty of Medicine of the University of Lisbon (FMUL), because it has already been implemented and continues to expand within the scope of an initiative with 3 years of existence, whose 4th edition is now in place: we are talking about the Solvin’It project.. It came out in 2015, as an idea. 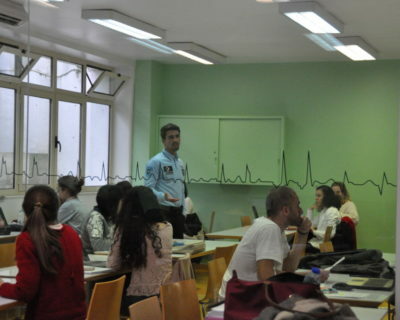 A peer-teaching initiative, promoted by the Student Association of the Faculty of Medicine of the University of Lisbon (AEFML), aimed at organizing sessions within the scope of different subject areas, designed by students and for students, in an informal environment without evaluations – peer teaching. Since then, Solvin’It has never stopped growing: from 330 students in the first year to 1234 last year. 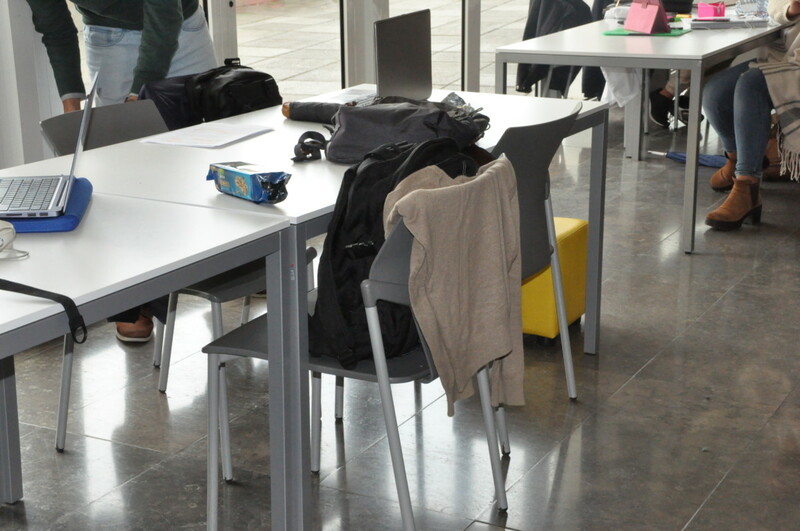 Initially, it was focused on 2 subject areas, a number that grew to 4 in 17/18, covering the two academic semesters. 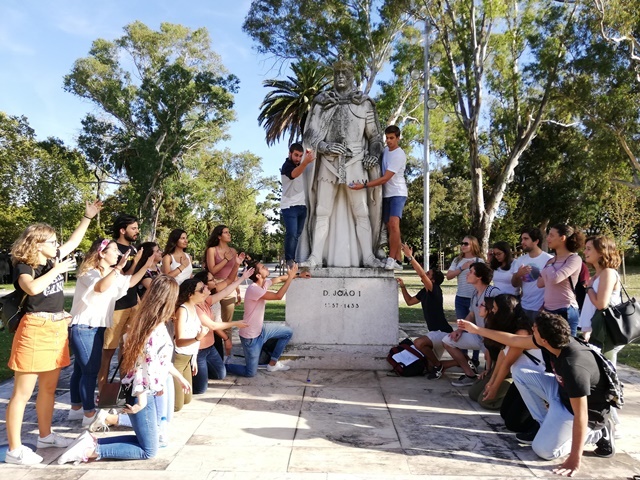 The impact of an initiative of this magnitude for students’ learning and for the pedagogical culture of the FMUL are undeniable, as explained in Acta Médica Portuguesa – Student in 2017. 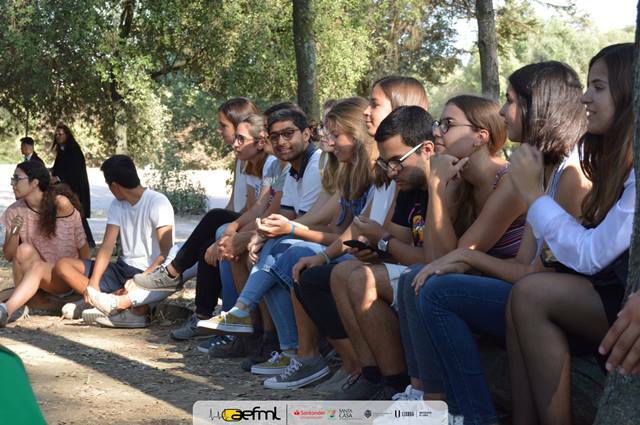 It was in this context and with the aim of promoting both the continuity and the expansion of the project that, in 2018, the AEFML and the FMUL established a partnership to support Solvin’It. 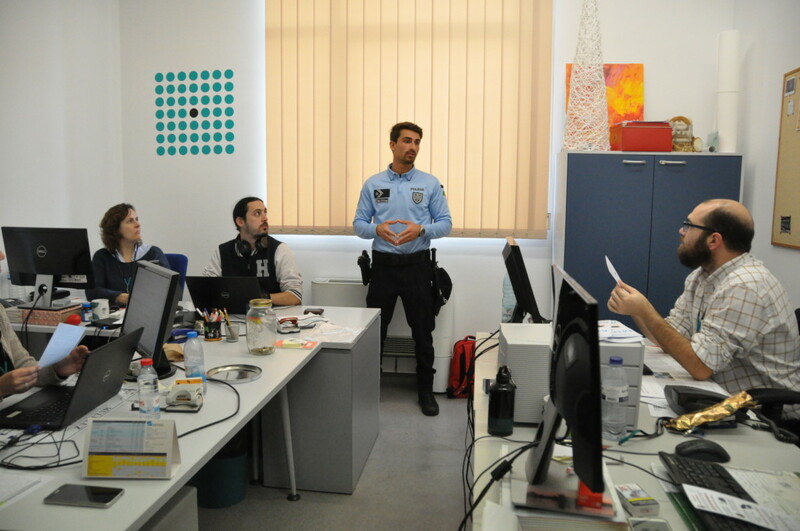 This partnership entered into force in the 18/19 academic year and has proven to be very positive, allowing a greater proximity between these two bodies, namely thanks to the Student Support Office, as well as a more efficient organization and logistics management and to the follow-up and promotion of the project at all academic levels. 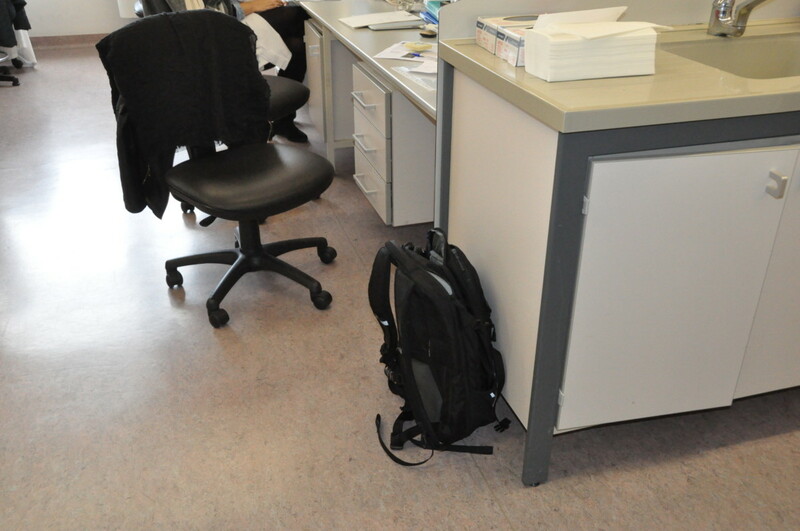 In this academic year, the project has been taking major steps forward, with a new image, a growing dissemination, the restructuring of the themes that were being addressed, and the expansion to themes such as physiology and microbiology. 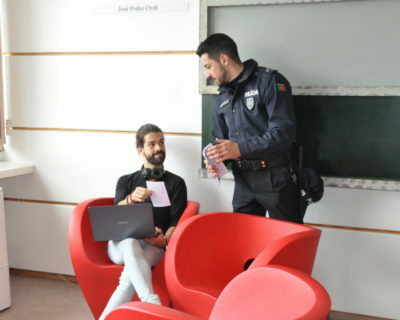 There was also an increase in the number of tutors, in order to foster a greater involvement of the entire academic community and further develop the pedagogical training of the student-monitors. 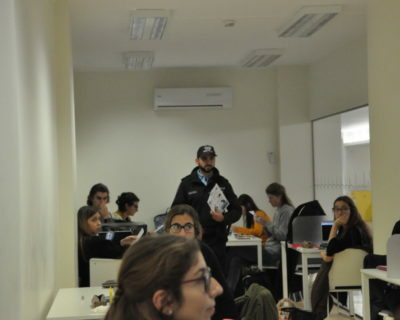 At the institutional level, we created a co-coordination pool and a student assistance service, as a way to streamline the organization of the project and bring the students closer to it. 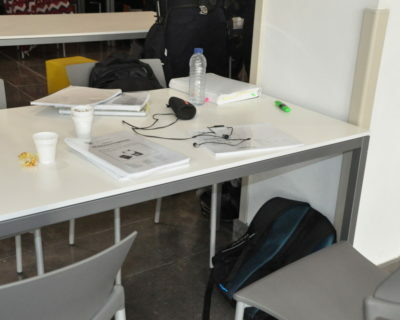 The Solvin’It sessions, which have been taking place since October, have exceeded the expectations and the attendance figures have been quite positive, and are on track to breaking the records achieved in previous academic years. 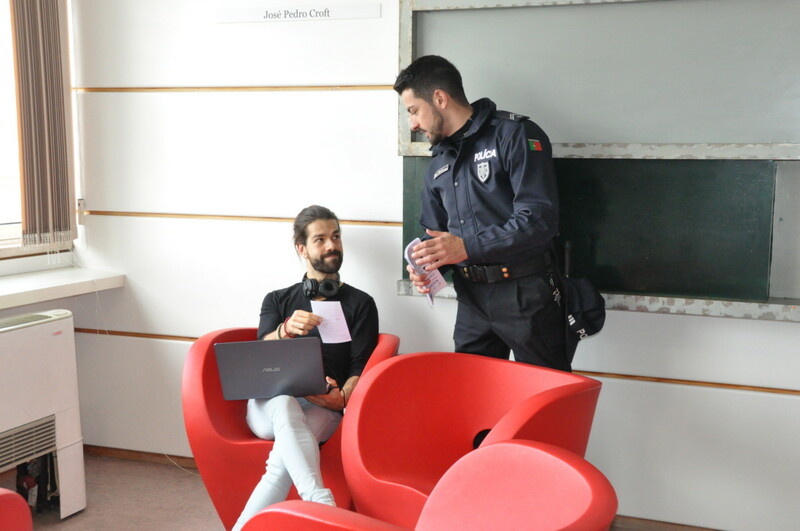 This year there was also an emphasis on a new area of the project: small groups aimed at working more closely with the participants. 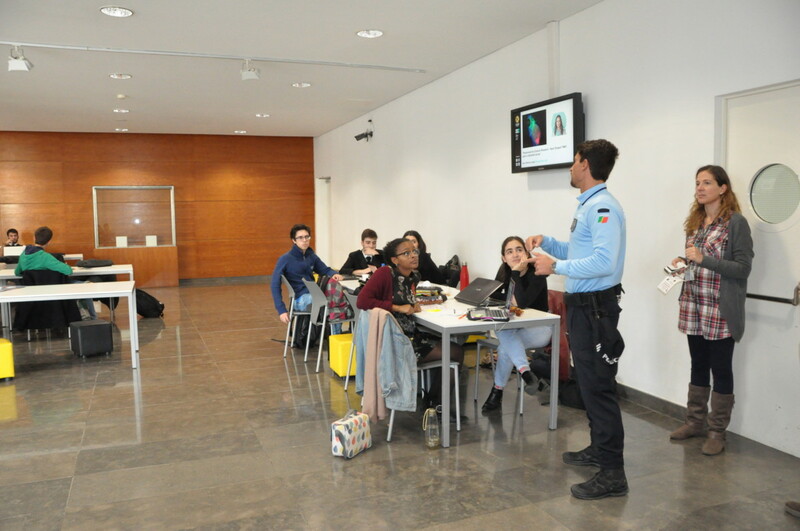 A class has been set up to work in the area of anatomy, the sessions are currently taking place, and the initiative has been showing promising results. We are now awaiting further developments with good expectations. Overall, the future looks promising and our expectations remain high. 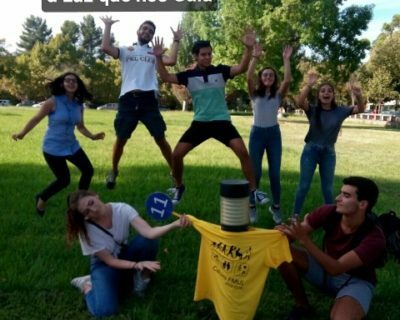 So, there are prospects for further growth, a situation that is simultaneously challenging and rewarding, because of the great proximity that is established with the students in a project of this kind. 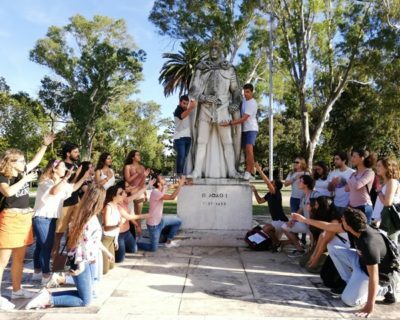 An irreverent project of teaching, engagement and mutual aid. 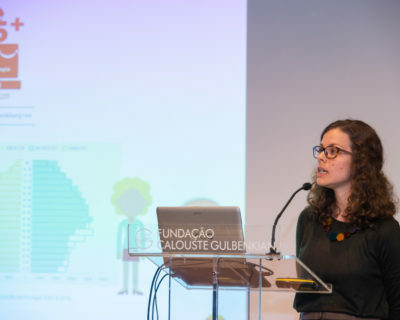 In recent years, a number of “major” and highly complex national epidemiological surveys have been carried out in Portugal. The National Food and Physical Activity Survey (IAN-AF, led by a consortium that included the FMUL), the National Health Survey with Physical Examination (INSEF, by the INSA), or well-known surveys related to rheumatic diseases, mental health, or diabetes are some examples. 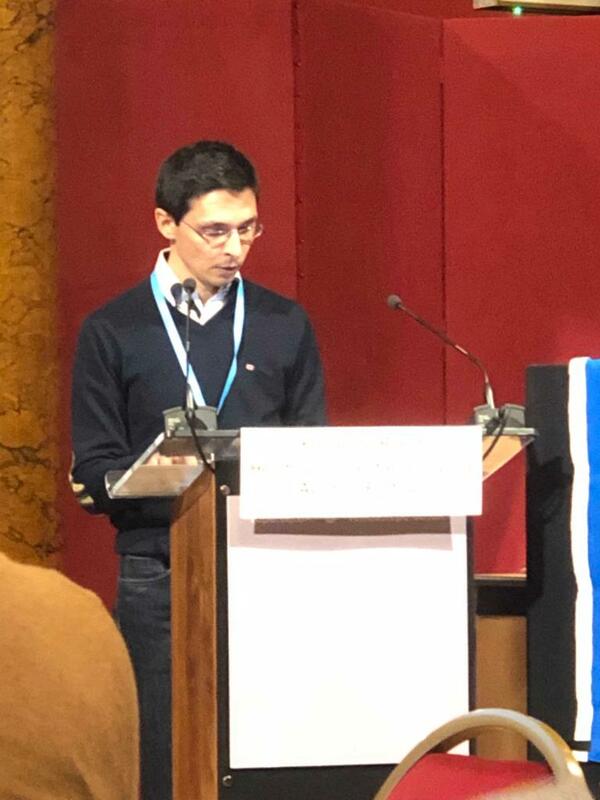 However, it was important to study populations with specific and pressing health needs, which are less accessible and for which there is little information. For example, very senior citizens and nursing home residents. On the latter, there were only a few local and limited studies, and the reality of these people is very little known and considered. 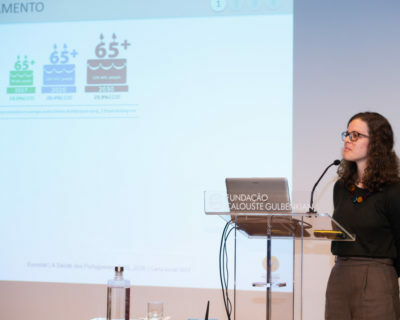 The Faculty of Medicine of Lisbon, through the Epidemiology Unit of the Preventive Medicine and Public Health Institute, led a consortium of national and foreign universities that carried out the first national study on the nutritional status and eating habits of senior and very senior Portuguese citizens residing in the community and in nursing homes – the PEN-3S Project, whose main researcher is Professor Gorjão Clara. 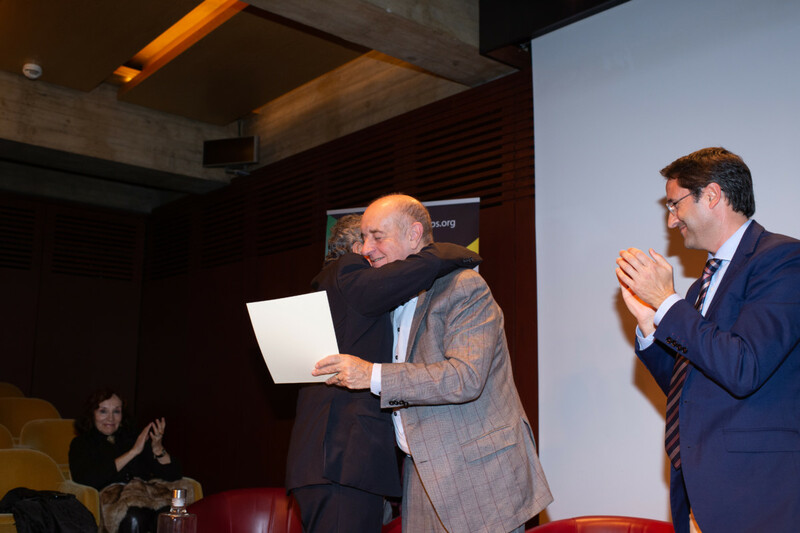 This study has now been recognised with the Arnaldo Sampaio Public Health Prize. 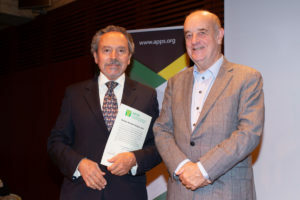 The Arnaldo Sampaio Public Health Prize, awarded every 2 years, aims at distinguishing the best work in Public Health Research carried out in the 2 preceding years. 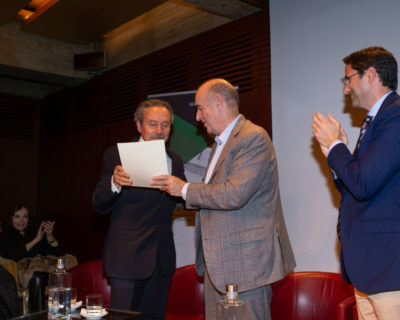 This is one of the most important national public health awards, and is promoted by the Portuguese Association for the Promotion of Public Health, with the support of APIFARMA. 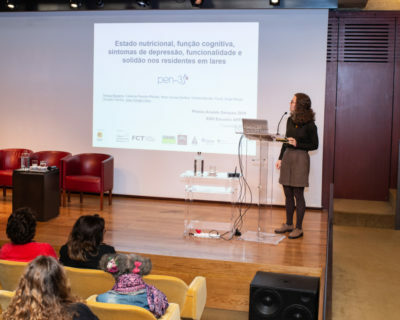 The award-winning work is entitled “Nutritional status, cognitive function, symptoms of depression, functionality, and solitude in nursing home residents” and was written by Teresa Madeira, Catarina Peixoto-Plácido, Nuno Sousa-Santos, Violeta Alarcão, Paulo Jorge Nicola, Osvaldo Santos, and João Gorjão Clara. 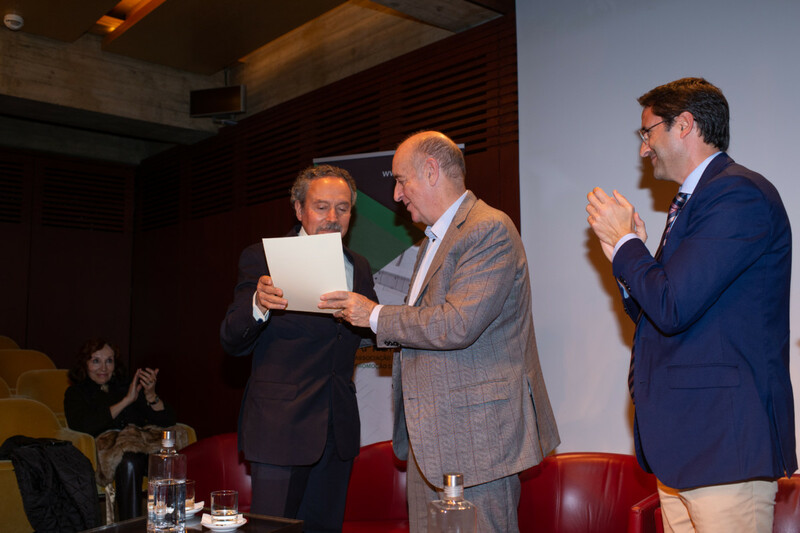 It was presented by Teresa Madeira after the award ceremony, during the XIV National Meeting of the Portuguese Association for the Promotion of Public Health (November 7, 2018, Calouste Gulbenkian Foundation). 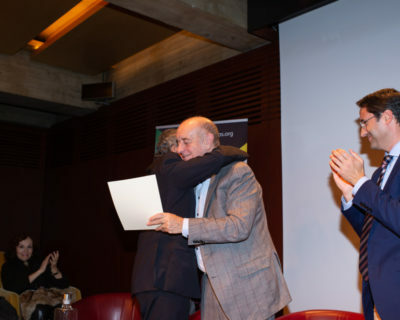 In this ceremony, Professor Daniel Sampaio said a few words to honour the memory and pay tribute to his father, Professor Arnaldo Sampaio, and handed the prize to Professor Doctor Gorjão Clara. 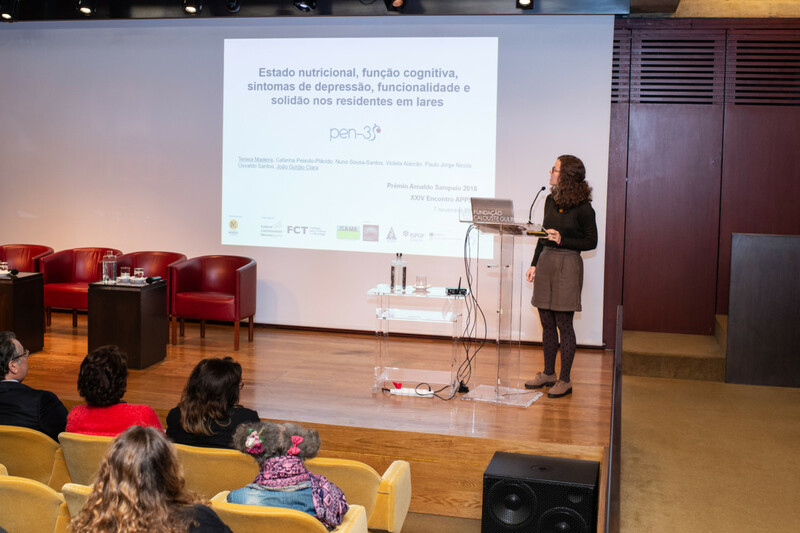 The PEN-3S Project, in addition to focusing on the nutritional status and habits of the Portuguese senior citizens, and analysing aspects related to nutritional status and risk, also collected information on comorbidities, emotional state and solitude, functionality, and lifestyles. It also sought to develop instruments for the regular monitoring and epidemiological surveillance of the nutritional status of senior citizens. For more information, please visit the website of the PEN-3S Project, or write an e-mail to geral@pen3s.uepid.org. 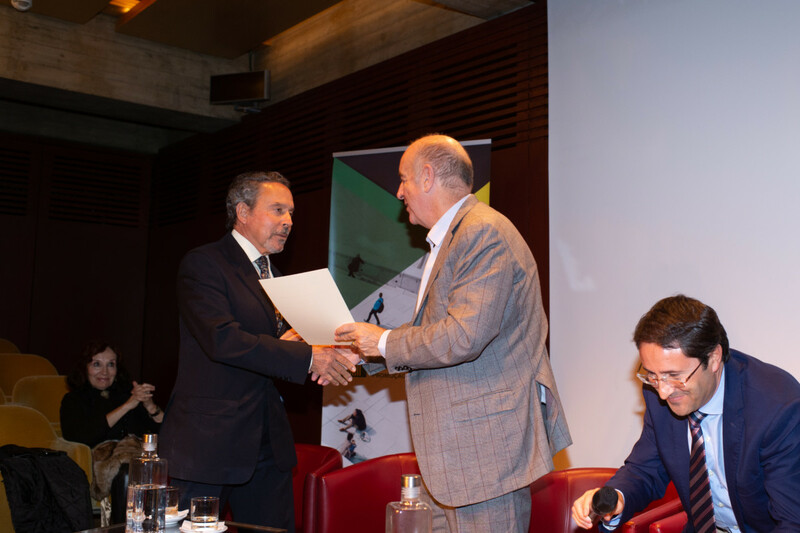 This Project was funded by the EEA Grants (European Economic Area Grants, under the European Economic Area 2009-2014 Financial Mechanism) as part of the Public Health Initiatives Programme. 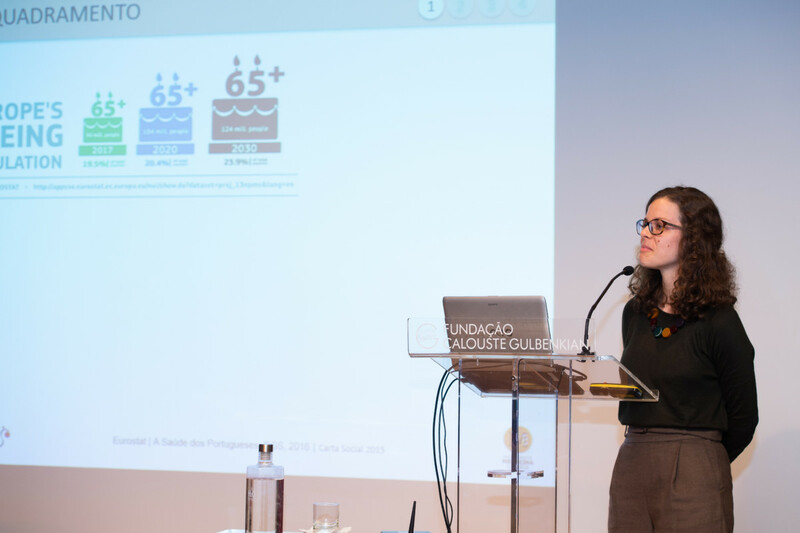 In addition to researchers from the Faculty of Medicine of Lisbon, the research team integrated researchers from the Public Health Institute of the University of Porto, the Faculty of Nutrition and Food Sciences of the University of Porto, the Newcastle University Institute for Ageing, United Kingdom, the Oslo and Akershus University College of Applied Sciences, and Orebro University, Sweden. 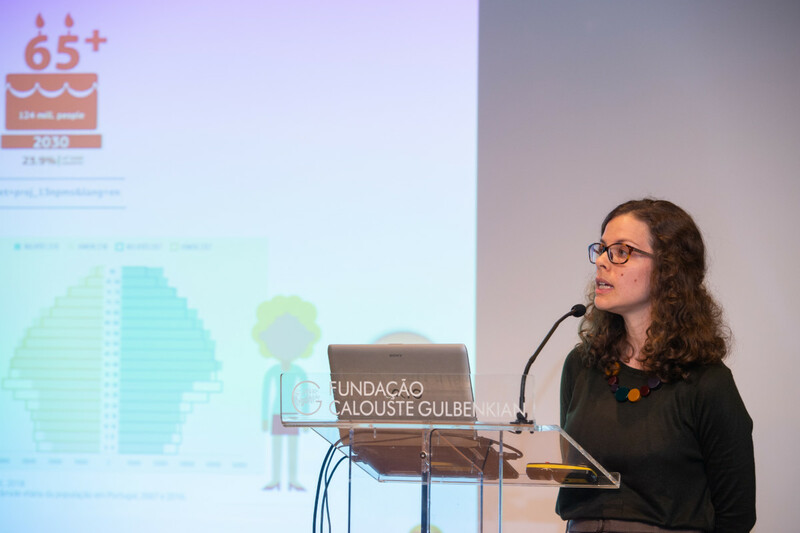 We will continue to analyse the data that have been collected and present and publish very relevant information on this neglected population, which poses challenges related to research and to the provision of very specific healthcare. You can read the available publications (link) or follow this project on Facebook. 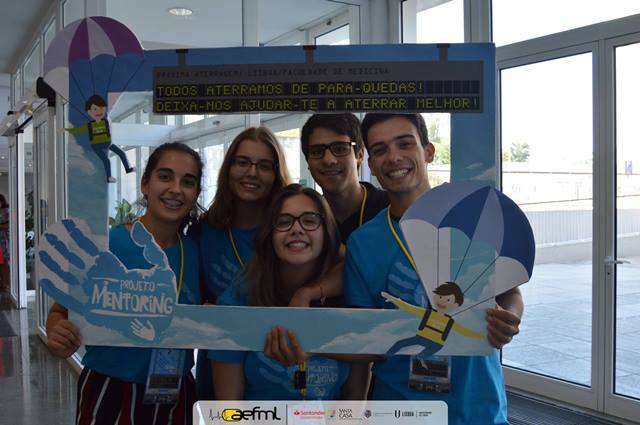 Currently going on its 5th edition, Project Mentoring has recorded exponential growth: 734 participants, of which 358 are mentors and 376 are students. Greater appeal and participation of colleagues who have enrolled on special application for Bachelors, to whom a mentor that is currently enrolled in the 4th or 5th year is assigned. 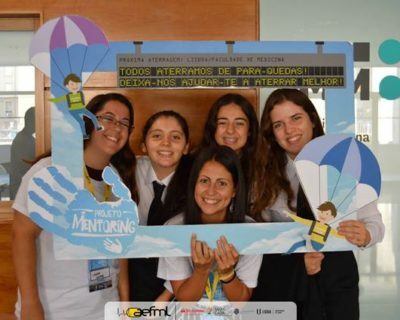 Creating a public Facebook Profile – “Project Mentoring – FMUL” where several publications are made with relevant information on the Project, keeping the group concentrated on more specific materials. It should be noted that the Service for Mentoring Students will continue. 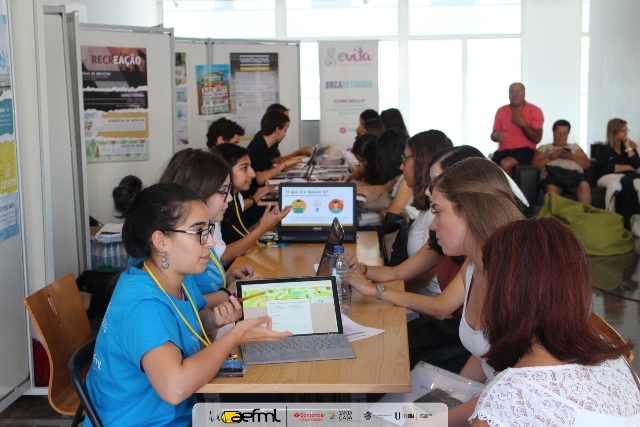 The service has recorded increased demand and it is there that students can personally address some issues and questions related to the project, or with their integration in FMUL throughout the academic year. 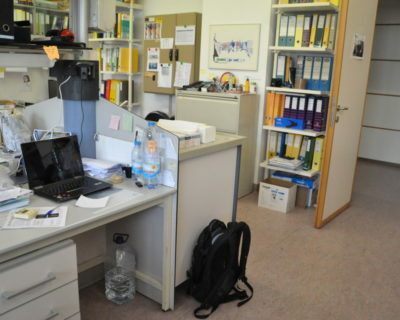 This place is part of the Student Support Office (GAE) and the office hours can be checked in any social network or website of the project. 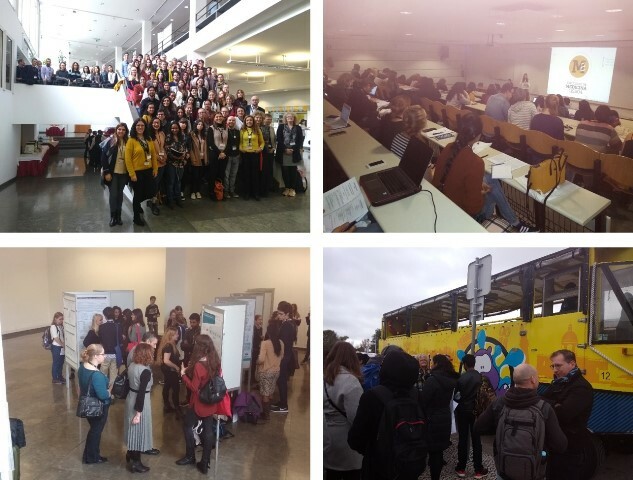 Several activities have been conducted to date: From the Enrolment Week to the Mentoring Day, there were plenty of activities aimed at promoting the integration of newcomers in our Faculty! 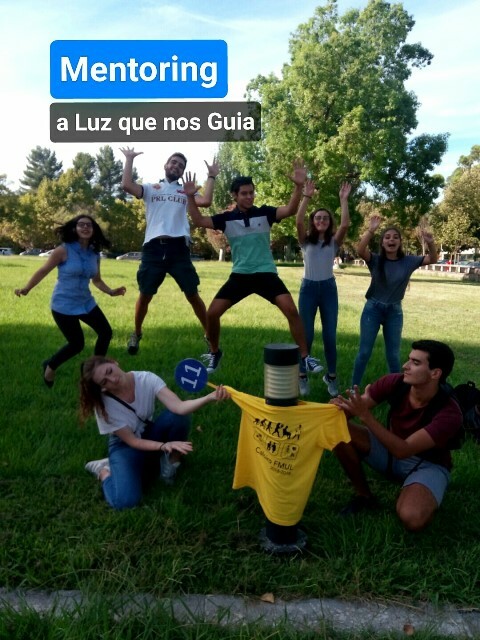 During Enrolment Week, the Mentoring Service was present in Egas Moniz facilities with a stand, to divulge and enrol new students interested in the Project through the Mentoring APP. 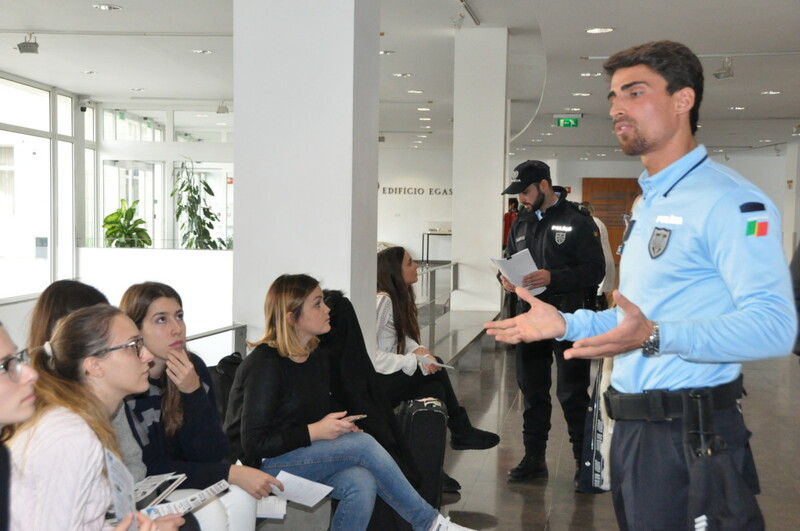 After the enrolment process, the guided visits around the Faculty took place – the Mentors promptly offered to introduce the Faculty to its new students! 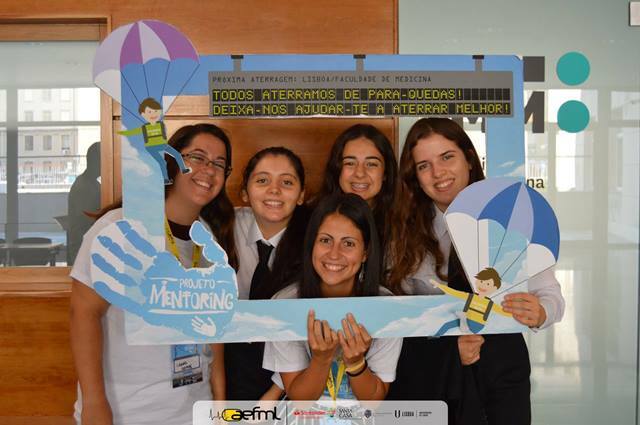 The main goal of this day is to share ideas and experiences and also to foster team spirit among all mentors! 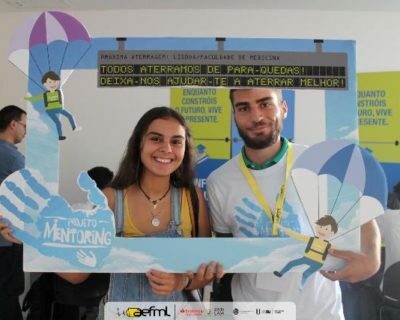 Thus, with the support of the University Stadium, we will have a Leadership and Motivation workshop promoted by students José Rodrigues and Teresa Valido, and also other games and activities covering topics such as: Communication; Reflecting on Mentoring and Team Work. 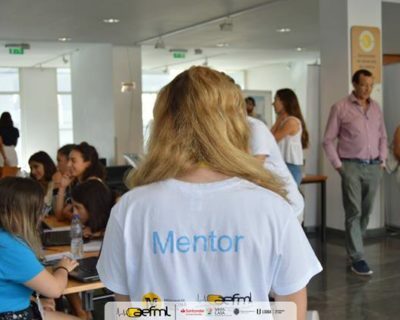 This activity featured 68 mentors attending the 2nd to 4th years! And as usual, the activity ended with a snack from whose leftovers were collected and donated to Refood. 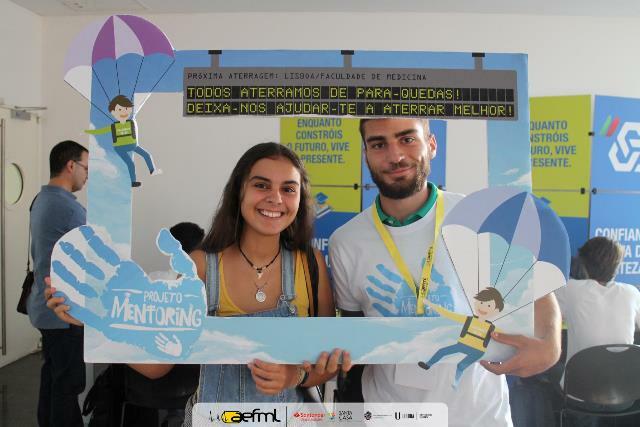 The Mentoring Project, integrated in GAE, attended the Introduction Week and presented a short lecture on the Project, its objectives, the activities it promotes and materials that it develops and the sharing of several important documents, such as the Survival Kit. 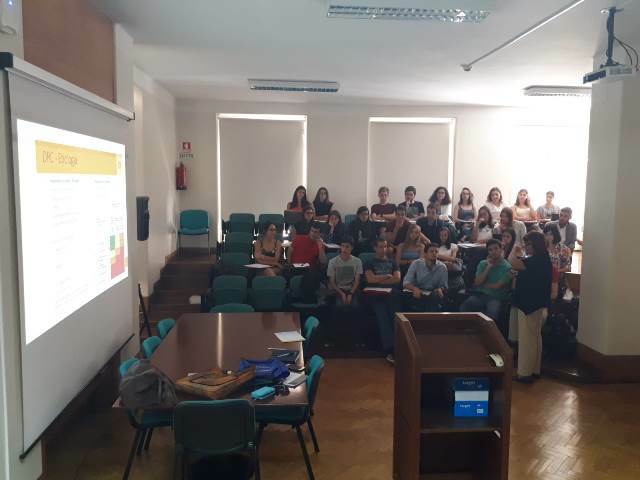 Besides the introduction week, the Project was also present at the introduction ceremony of the Integration Committee for Graduate Students (CIAL). 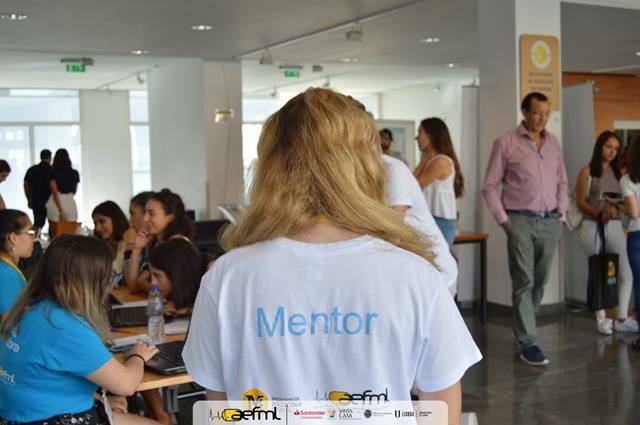 As is tradition, in the Mentoring Day there is an activity that aims at establishing the first mentor-student contact. 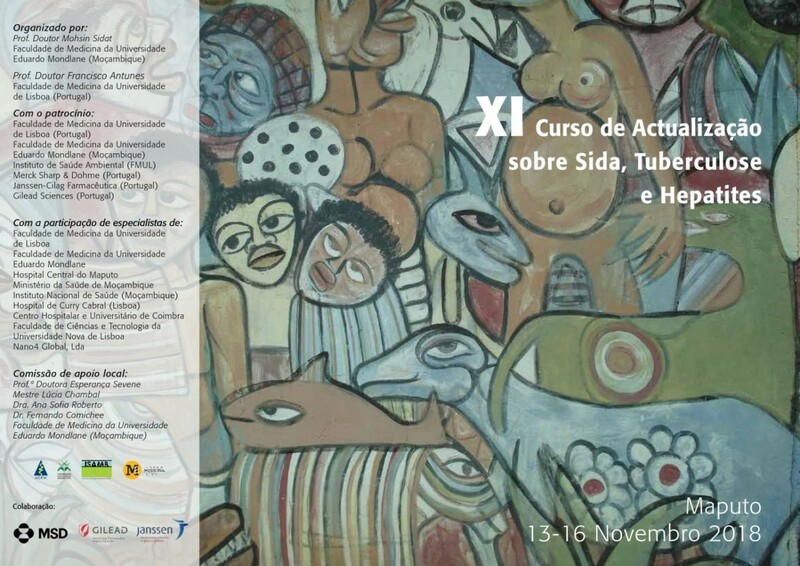 This year there was a Peddy Paper in Cidade Universitária. 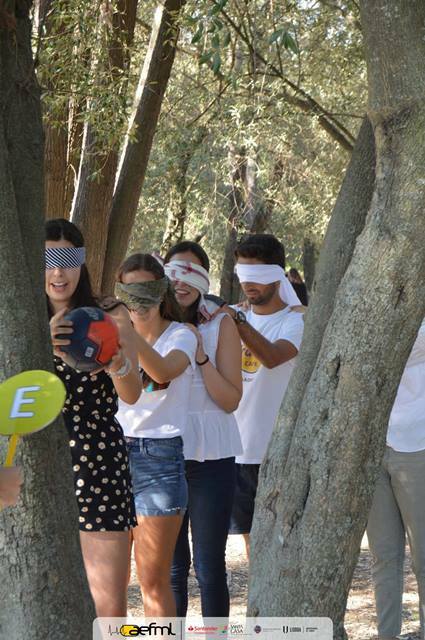 Throughout the activity, each team had several challenges to solve in the shortest time possible. All the teams lived up to the challenge and the competition was tight! Of all 320 participants, divided in 36 teams, team 5.2 was the winner! 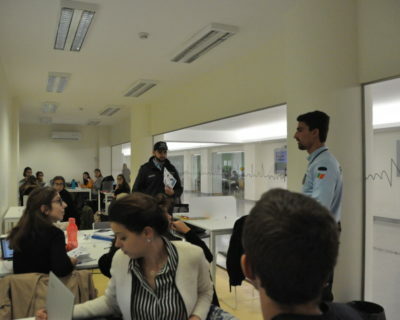 On that day, the peddy paper ended with a surprise concert in the student’s bar, in cooperation with the Department of Culture and Entertainment of AEFML and also with the sponsoring of therapeutic sessions in the fields of Literature, Sports and Music in collaboration with students Eduardo Costa, Raquel Pinto and the award-winning author Valério Romão. Mentoring Day had the support of EXARP and received the seal for best practice in new student integration. 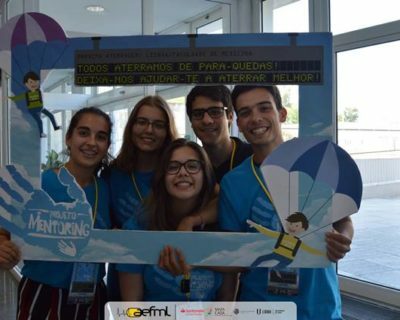 Many of the activities are being prepared and will soon be revealed! 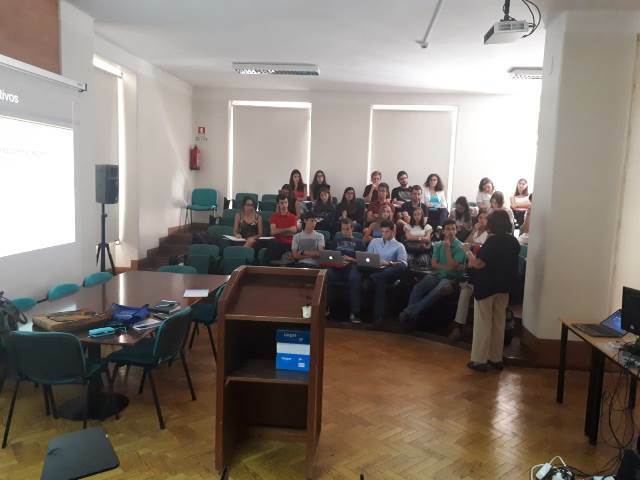 Among these novelties, we can already highlight the second edition of the Workshop “Bibliographic Research Made Simple,” this year with more news! 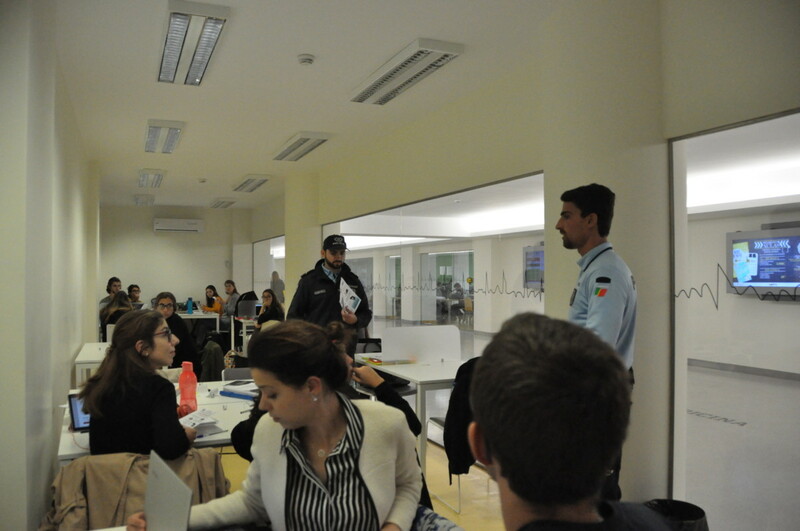 And also Soft Skill Workshops! 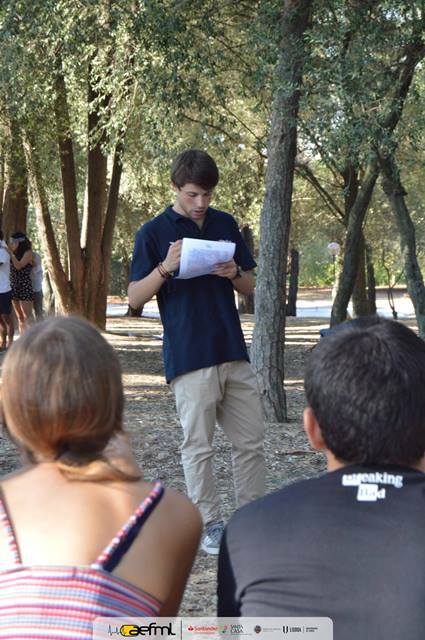 But there is much more to come, always with the students in mind! Stay connected, so that you don’t miss a thing! 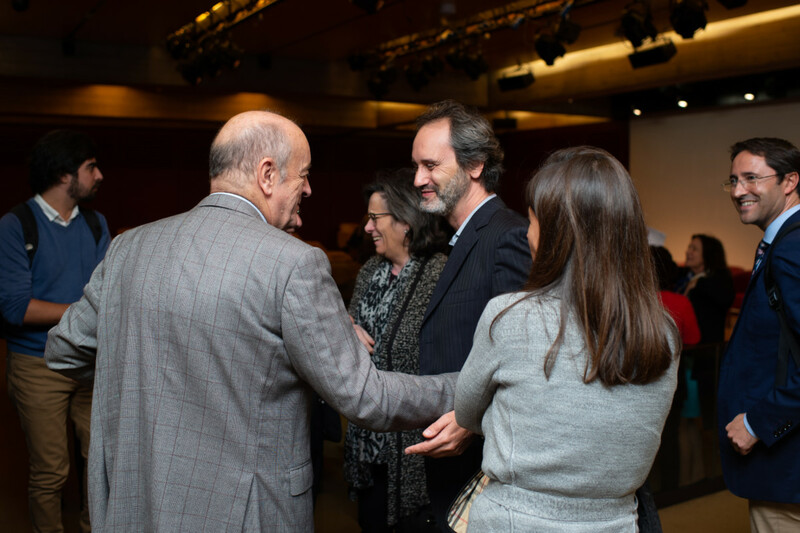 In 2018, the International Open Access Week took place from October 22 to 28, as part of an international initiative that aims to disseminate Open Access to knowledge, promoted by SPARC (Scholarly Publishing and Academic Resources Coalition). 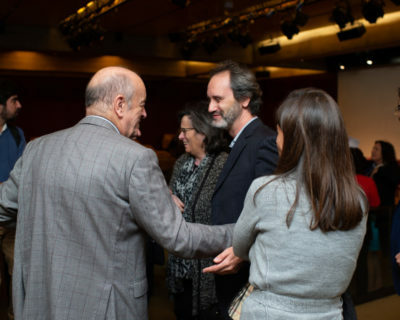 This year, the Week covered the topic “Designing Equitable Foundations for Open Knowledge”. 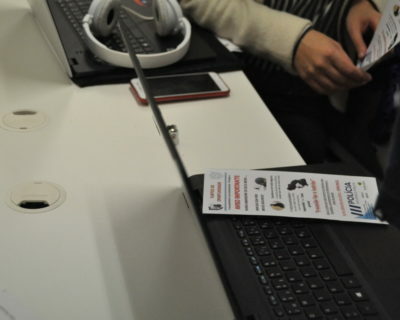 Just as in previous years, the CDI-Library of FMUL partnered with this initiative by divulging scientific resources and information in open access that was deemed relevant to the entire FMUL/IMM community. 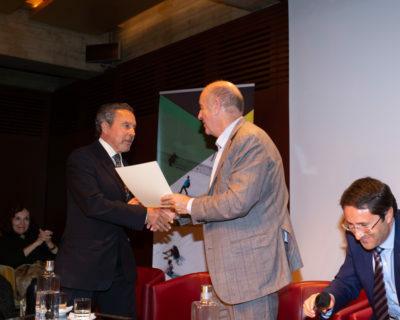 Open science enables knowledge sharing among the scientific community, society and companies, thus allowing to improve science’s reputation and increase its social and economic impact. 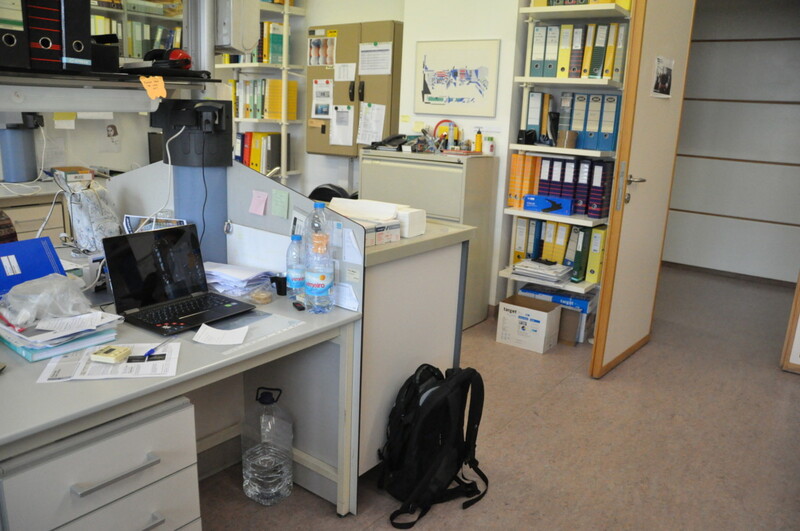 More than just the provision of data and publications in open access, Open Science is the opening up of the scientific process as a whole, strengthening the concept of scientific social responsibility. 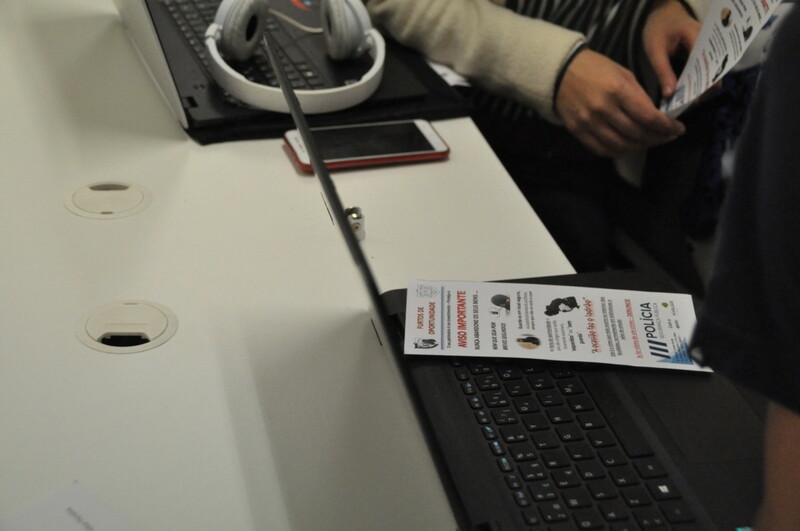 The implementation of Open Access practices also sponsors several innovation opportunities. It promotes the development of new products, services, businesses and companies. What are the pillars of Open Science? 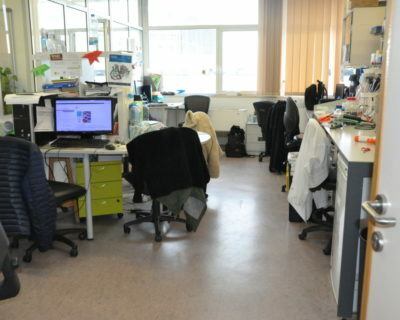 It increases the social and economic impact of science. 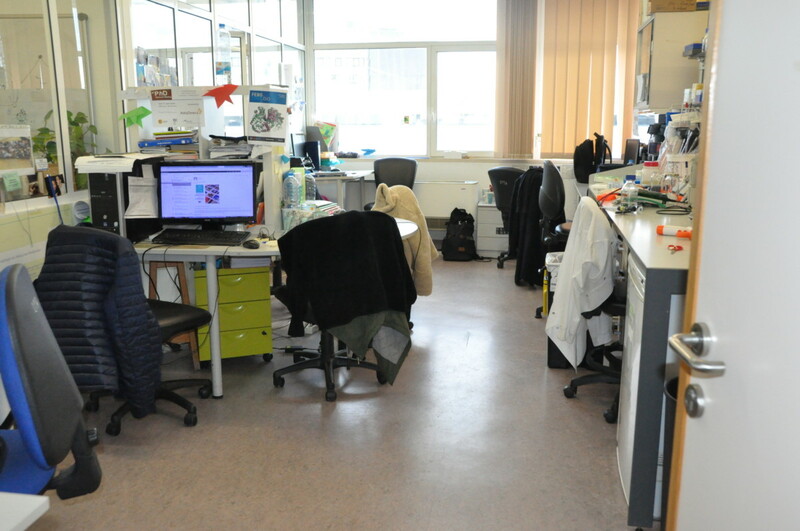 Find out more about Open Sciences, here. The concept of “Predatory Journals or Predatory Publisher“, appeared in 2010 with Jeffrey Beall and was used to describe publishers with little moral that published/ appealed to the publication without peer review, or with very questionable revision. Connected to Open Access publication, though not solely linked to it, it holds non-recommendable practices as its principle. Before making your publication decision, check the open access policies of your funding institution. 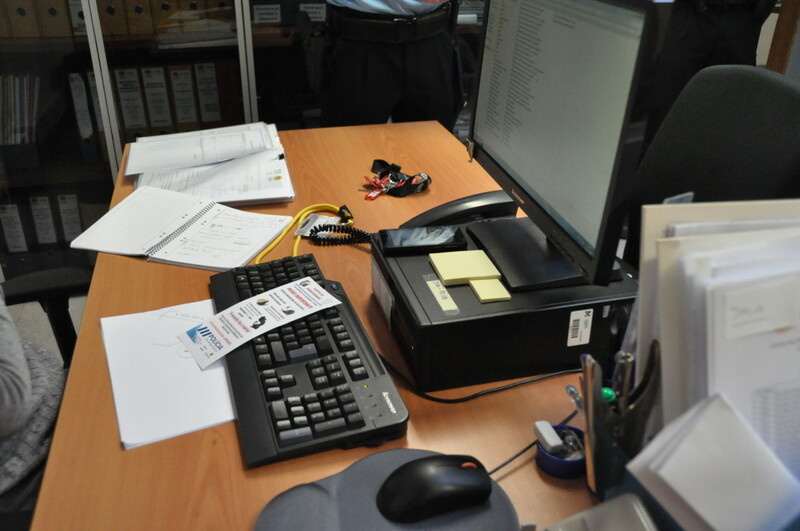 Be aware of legal terms for deposit in each of the institutions in order to simplify the choice of journal. Publications that are not indexed to WoS or Scopus are not necessarily predatory. While a publication might not have been contemplated in these indexes, it might be indexed in Medline or in other reliable indexes, even if these don’t have the same leverage as WoS ou Scopus as tools for bibliometric assessment of scientific production. Open Access is not the same as Predatory Publication, or synonym for lack of scientific precision, as there are publishers on OA whose scientific credibility and precision are indisputable, such as Hindawi, Pios or BMC.